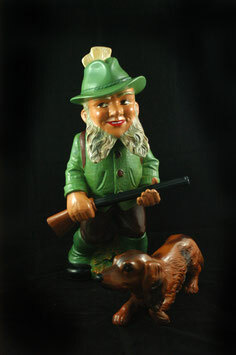 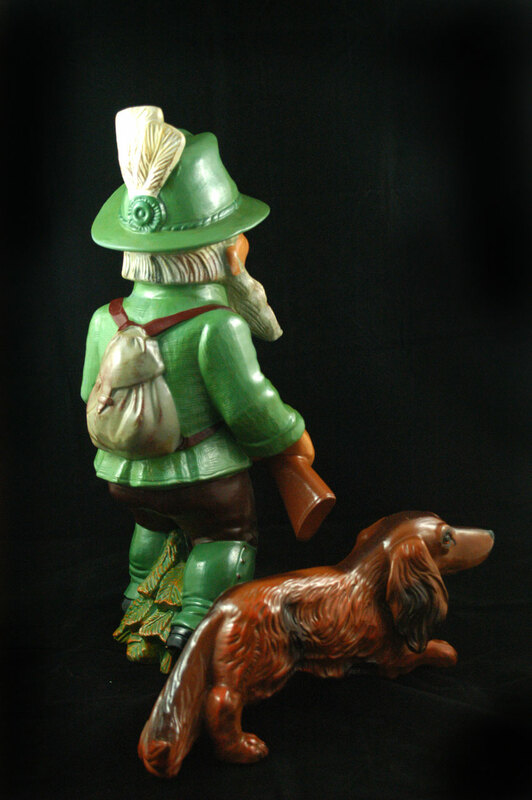 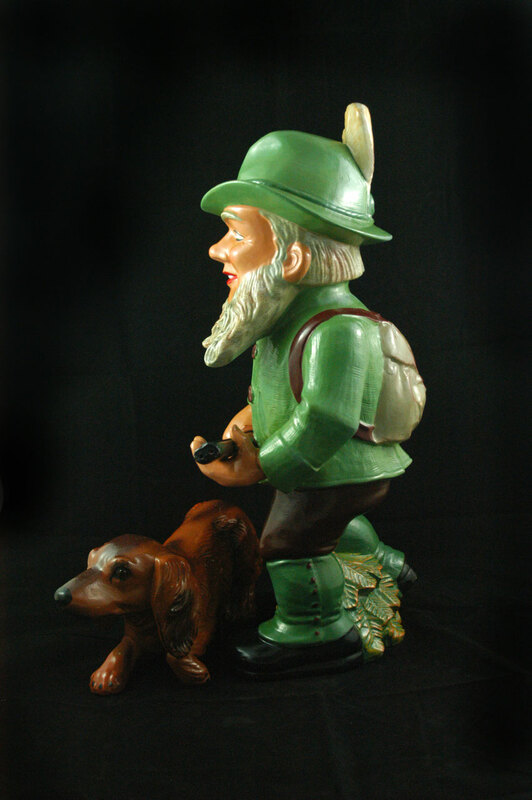 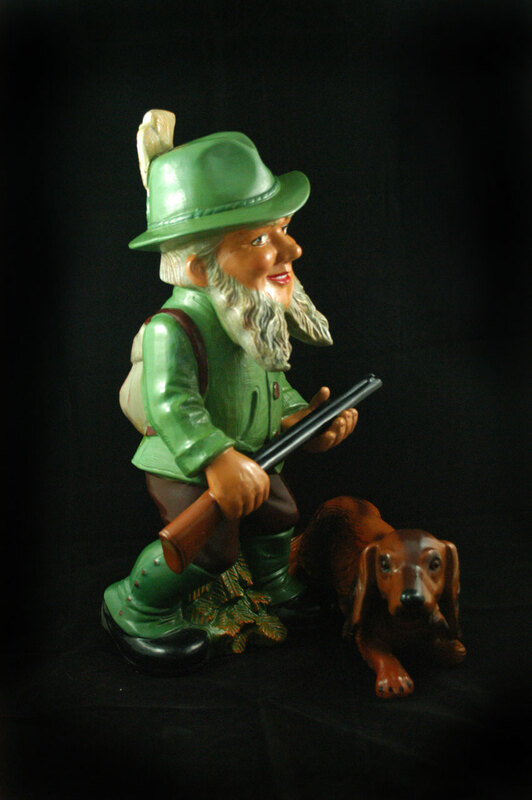 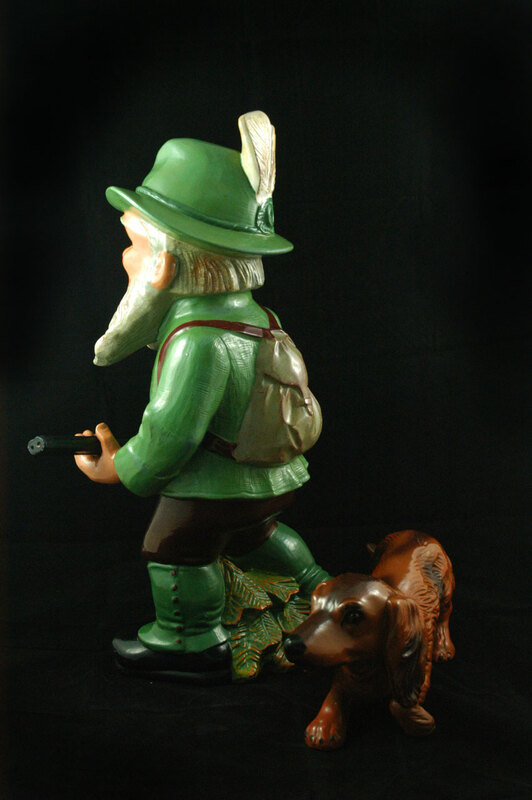 Hunter with dachshund - Heissner Gnomes from the early 1950th. 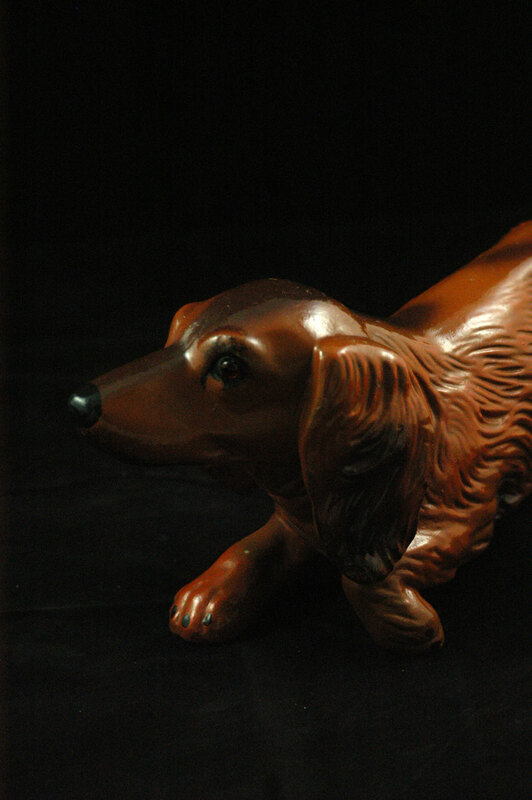 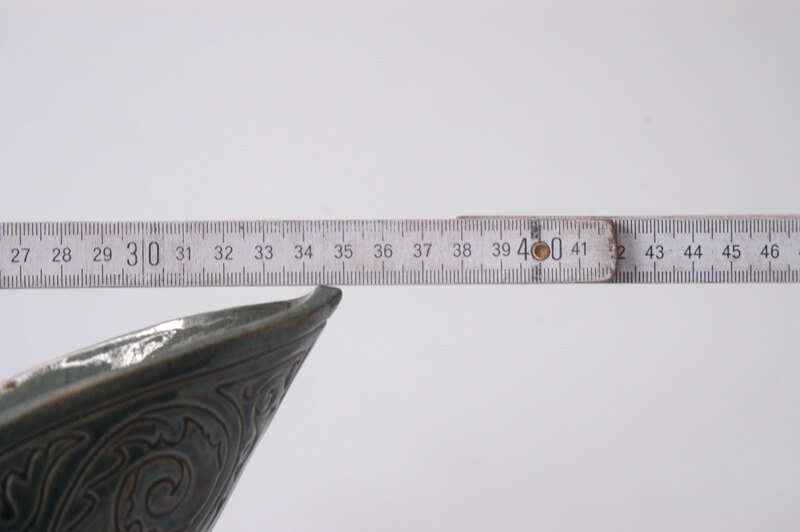 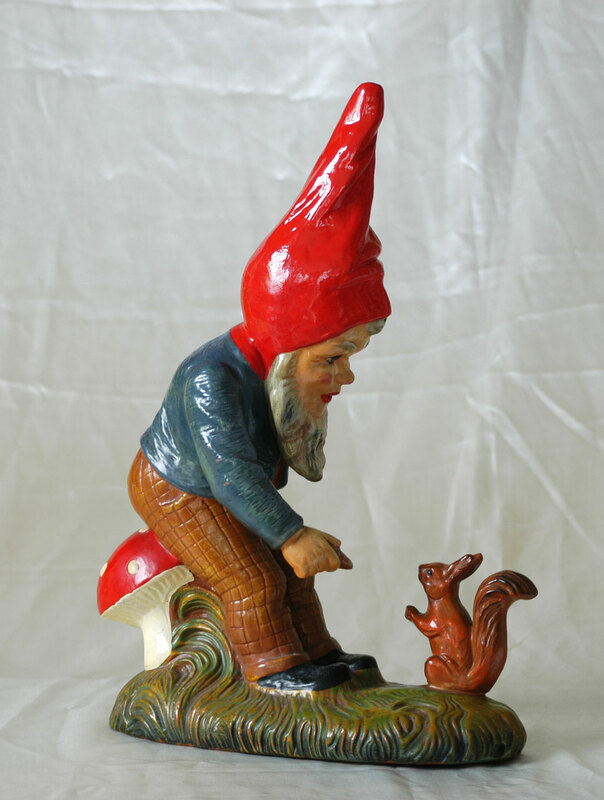 Designed by the modeller Carl Nuechter, who worked until 1935.
size is 50 cm / 20.0"
who was the most famous modeller of the Heissener Manufactory. 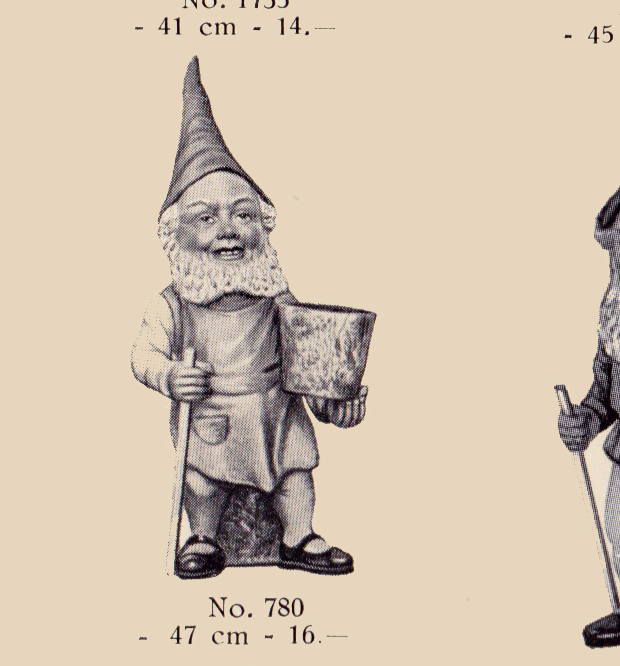 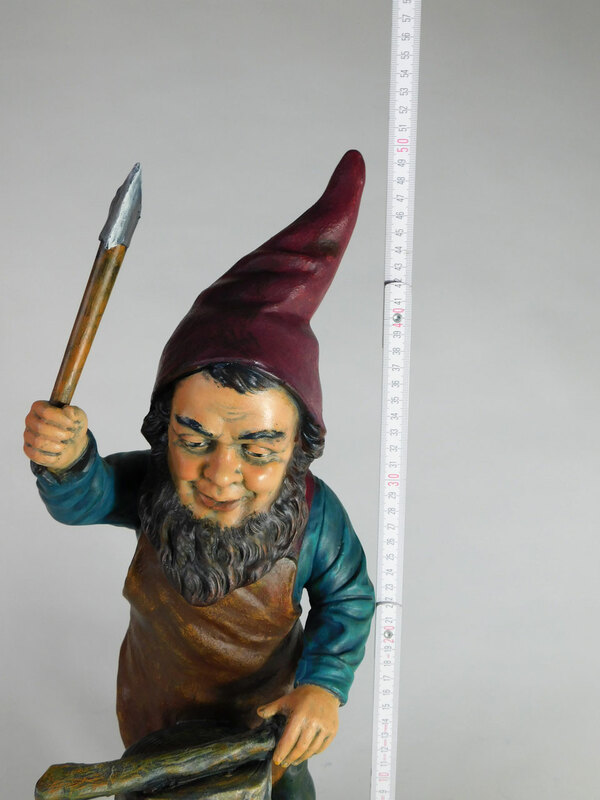 There is a simular gnome in the cataloque of 1935.
and repainted the gnome lovingly in traditional way. 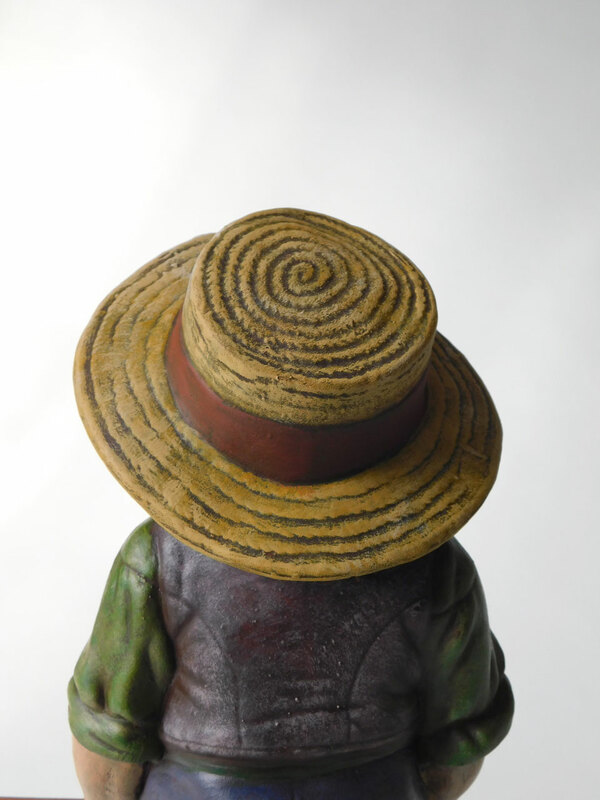 with his wonderful straw hat. Heissner poduced several different versions of this gnome. 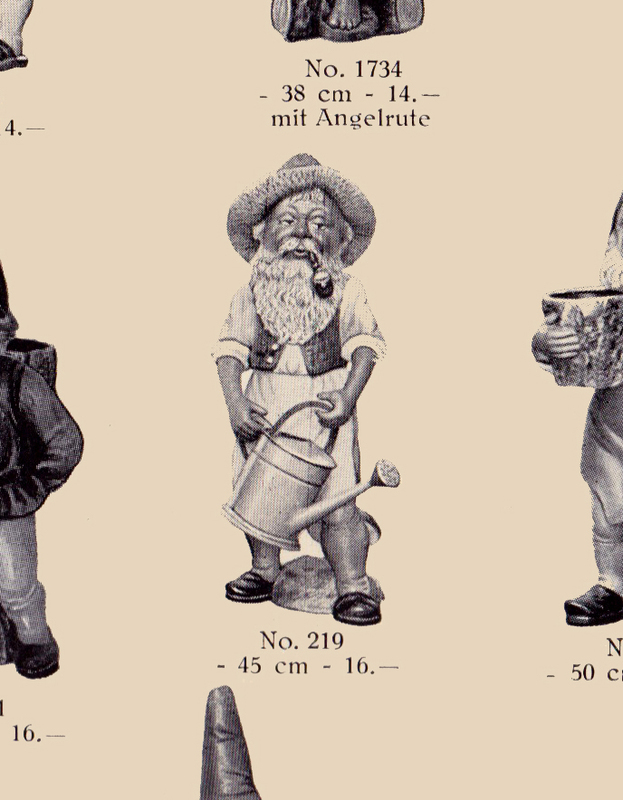 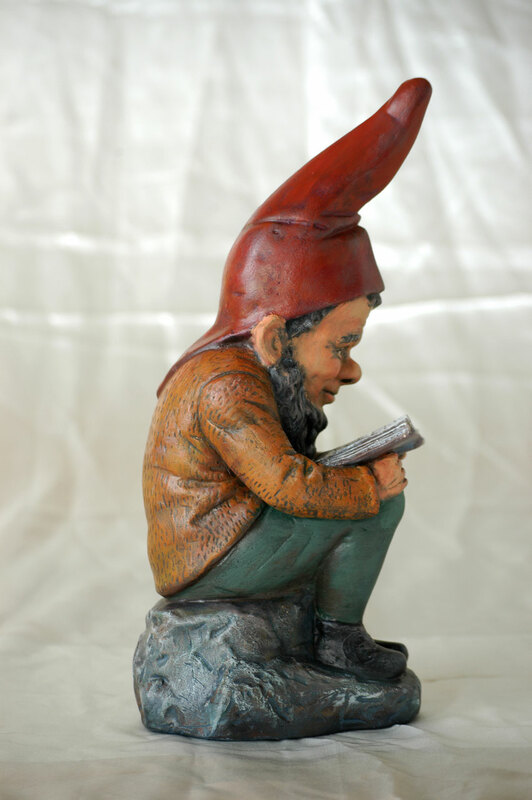 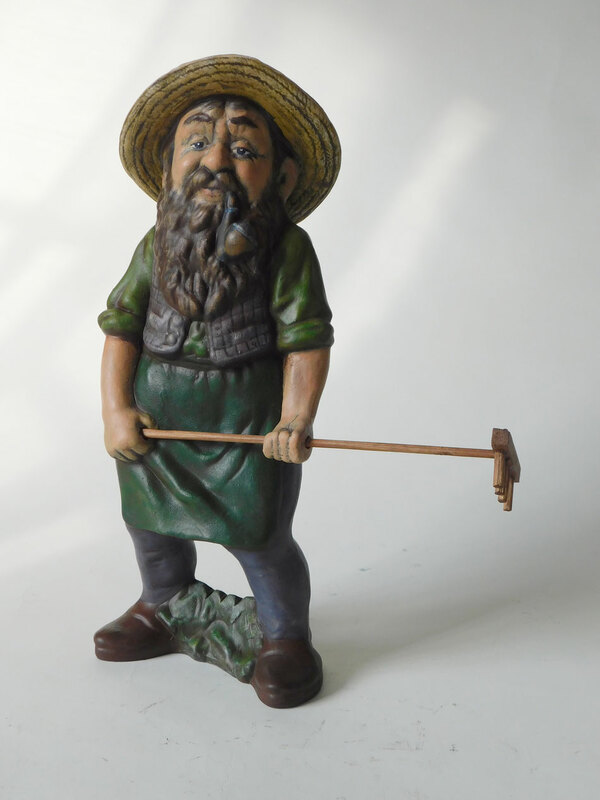 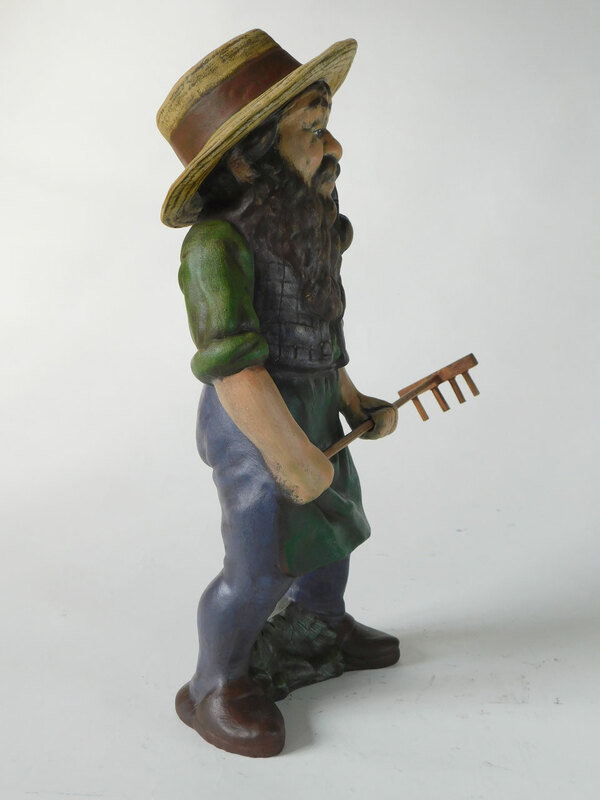 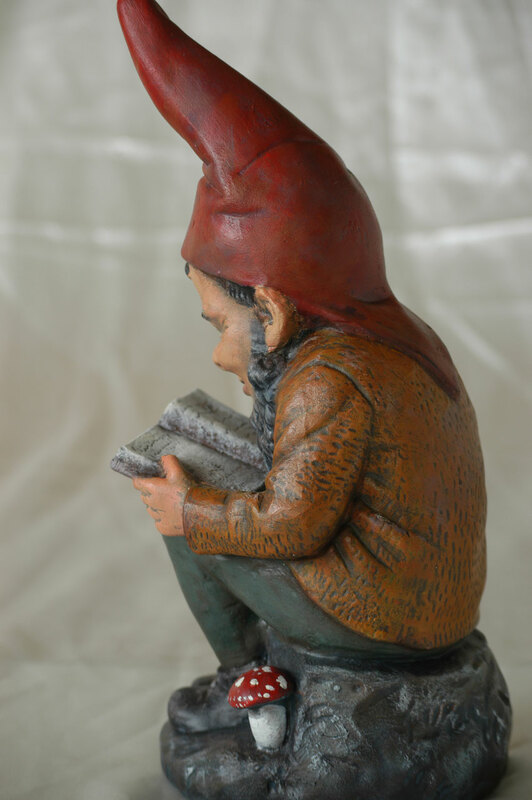 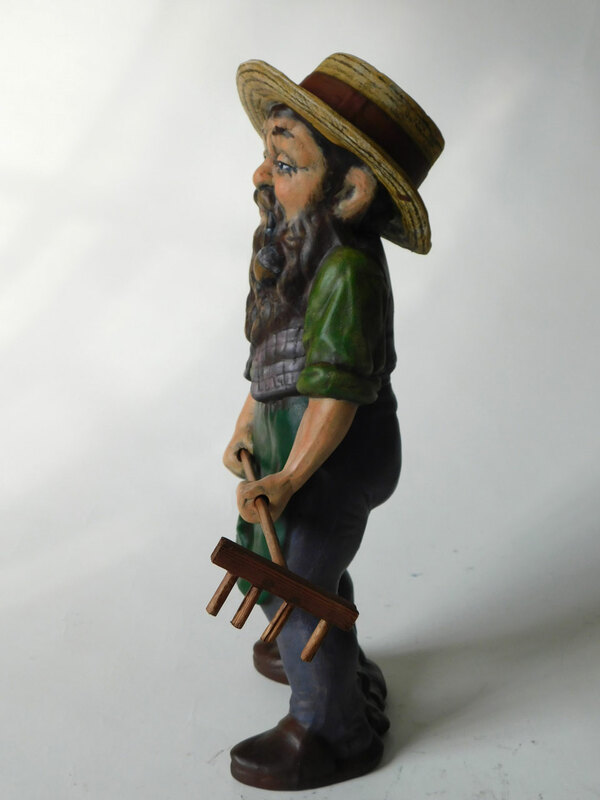 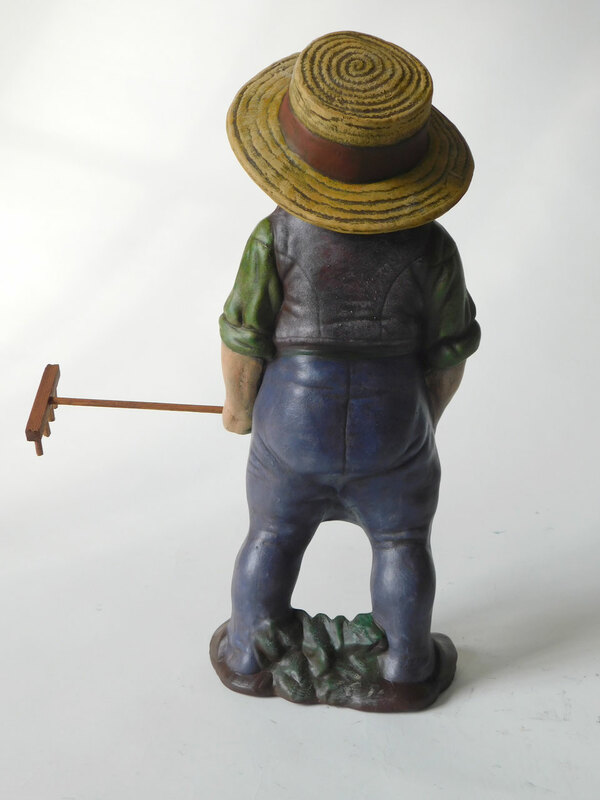 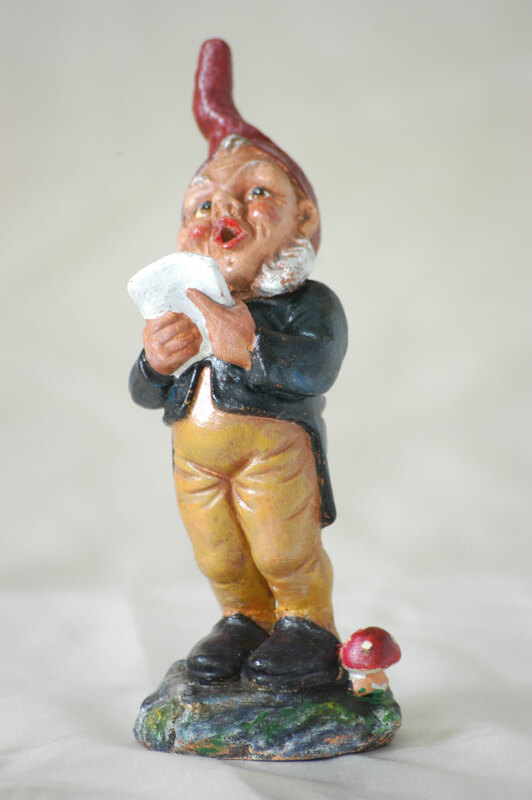 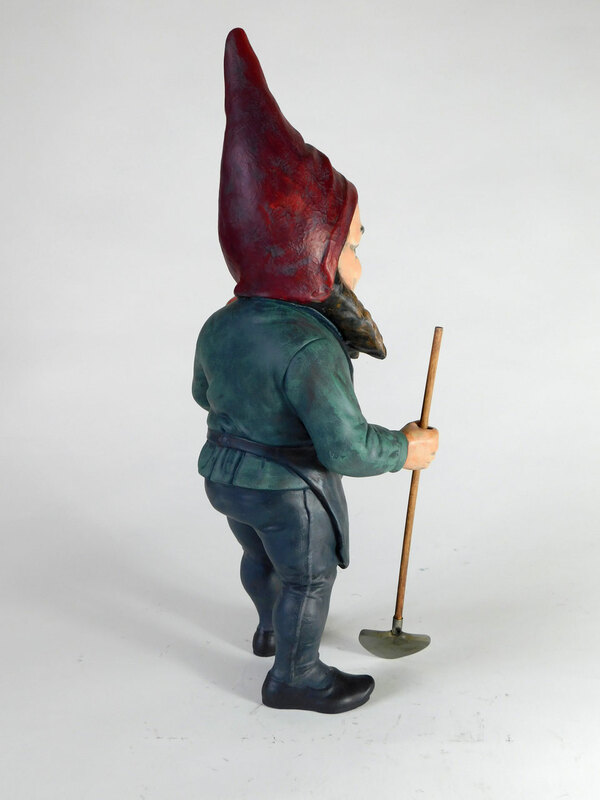 This one looks very simular to the figure named "Gnome Doctor", which is designed by the famous gnome painter Prof. Paul Lothar Mueller (1869 -1956) for Heissner before 1920. 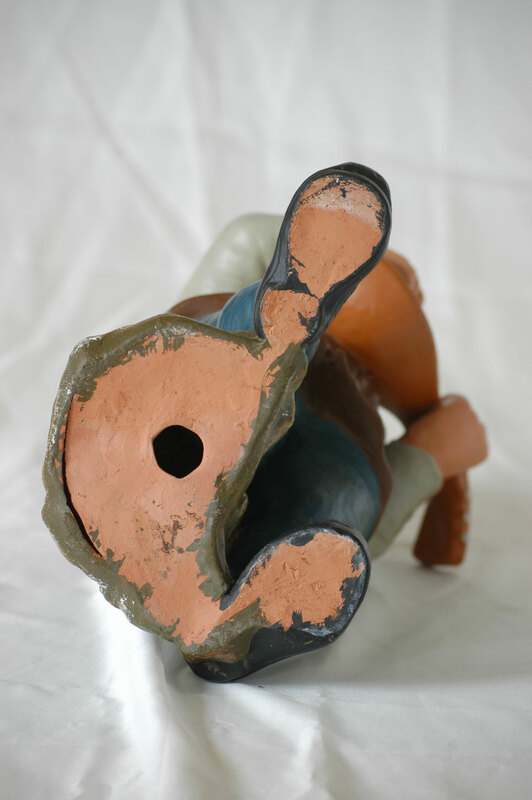 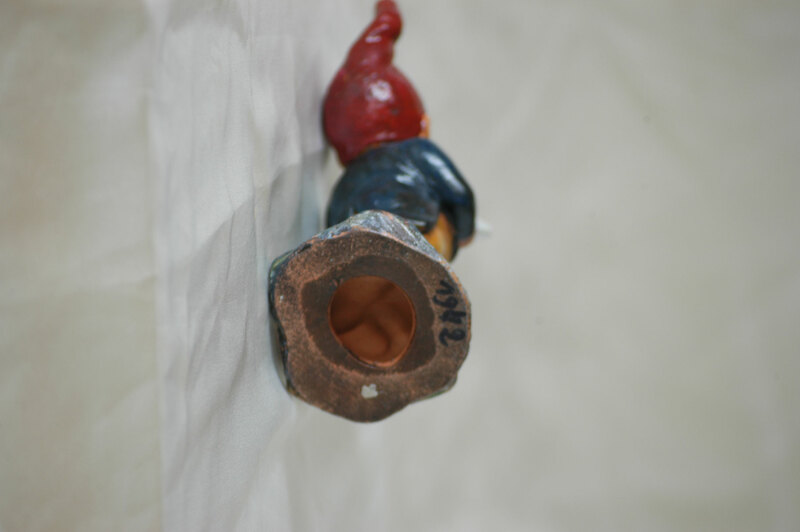 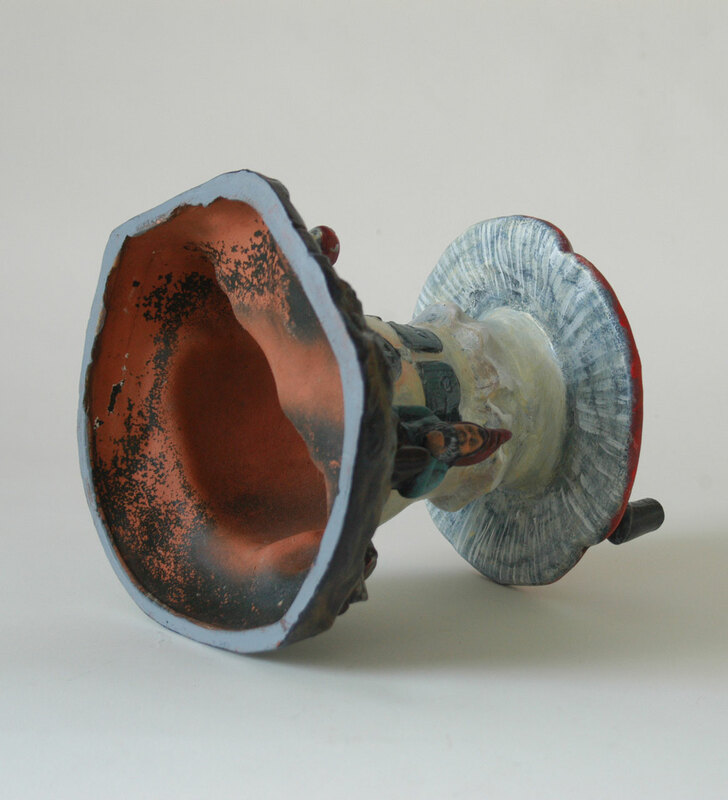 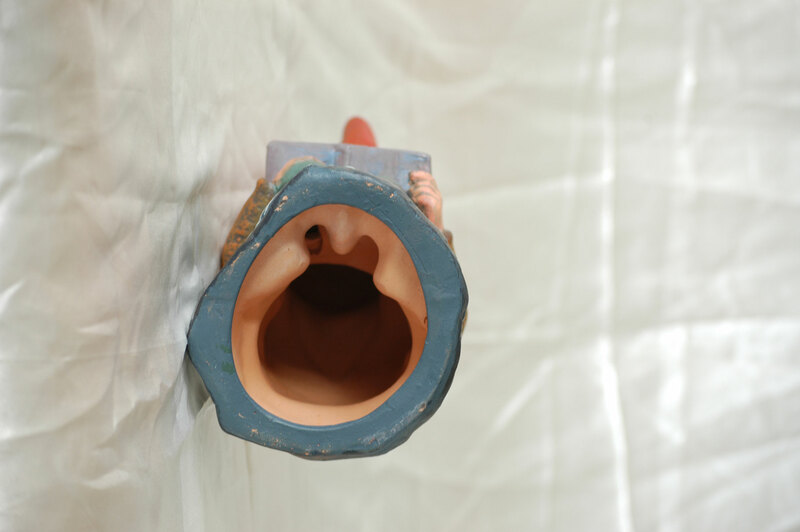 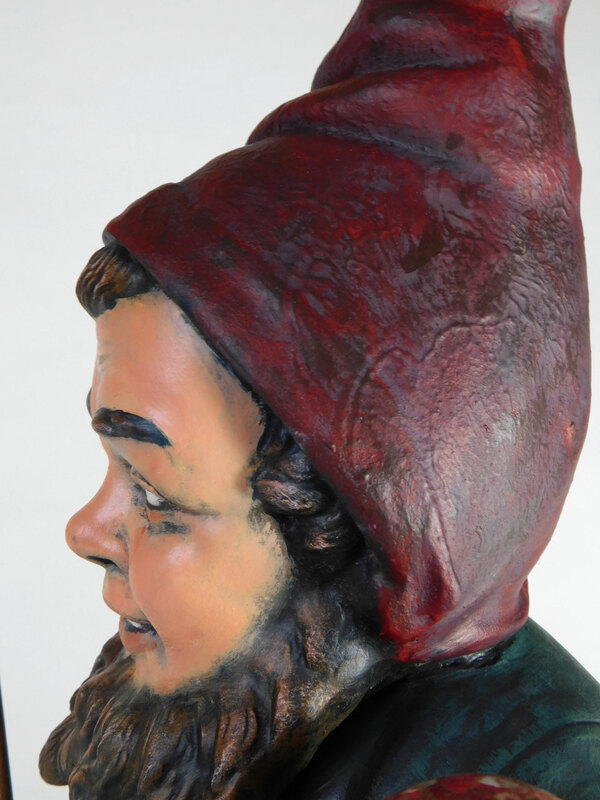 The gnome had several layers of old colours, which we burnt off in a ceramic oven at ~1650°F. Then the chap was painted completely in the old tradional style that was usual at the century turn of 1900. 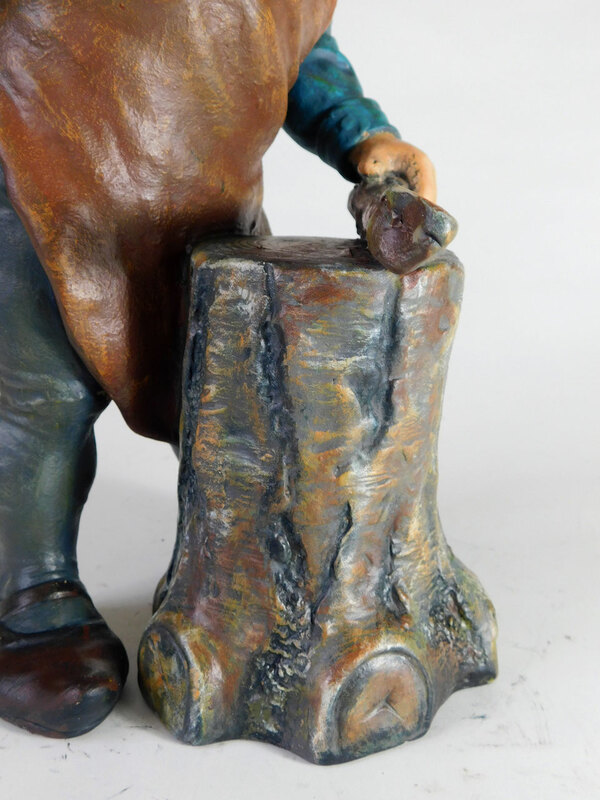 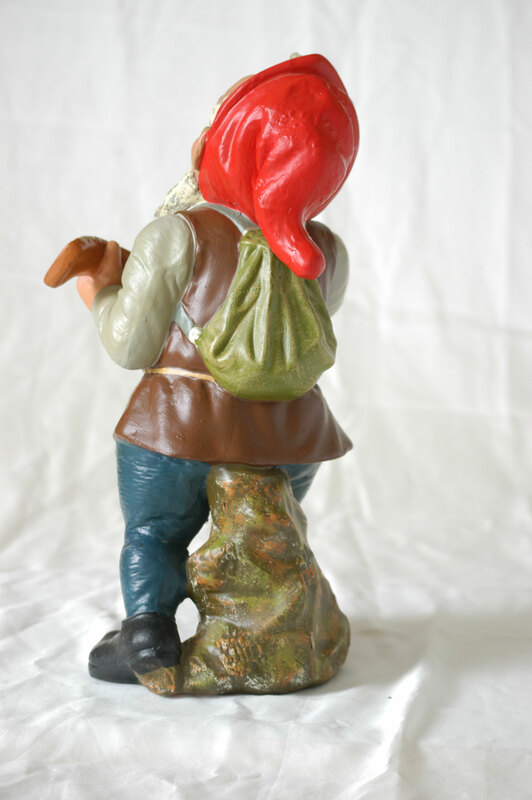 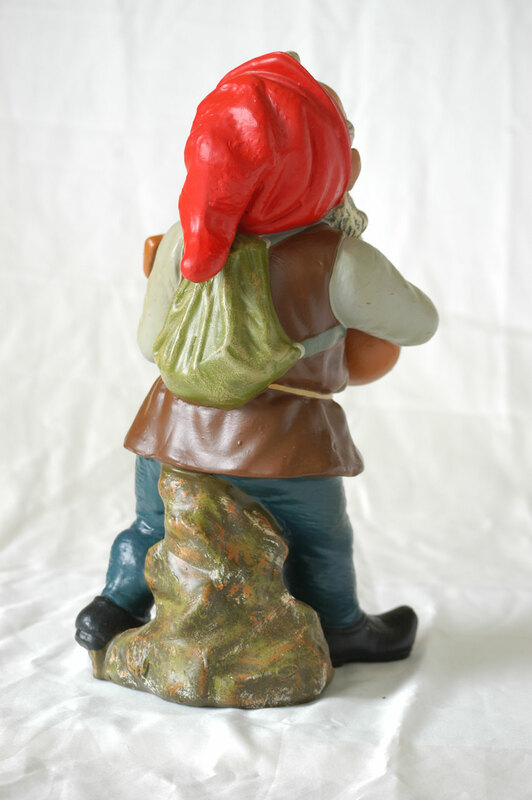 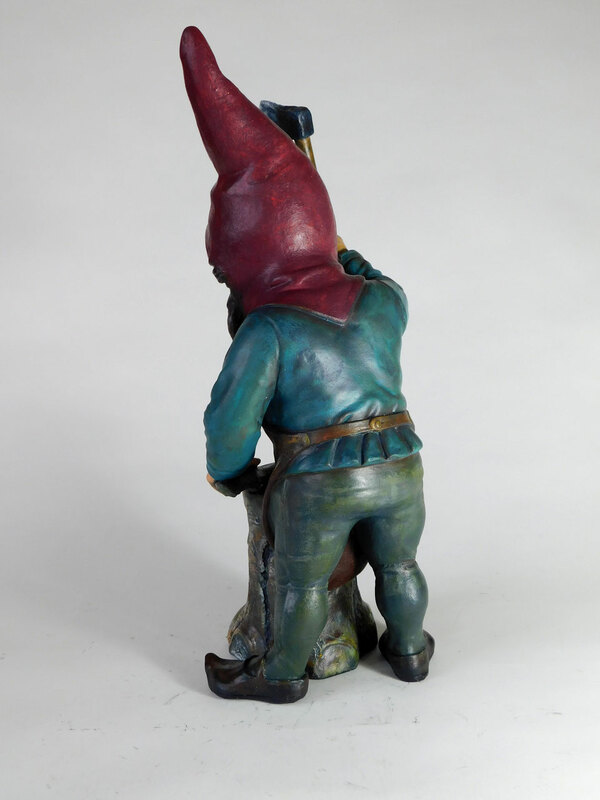 A few of the Heissner gnomes classics have names, like this one is named "friendship". 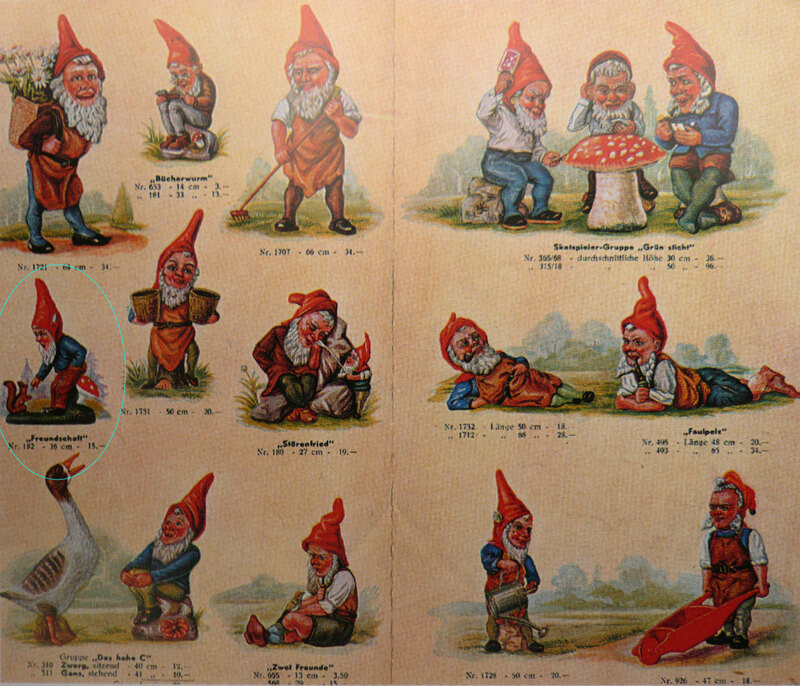 Most of the gnomes only have numbers. 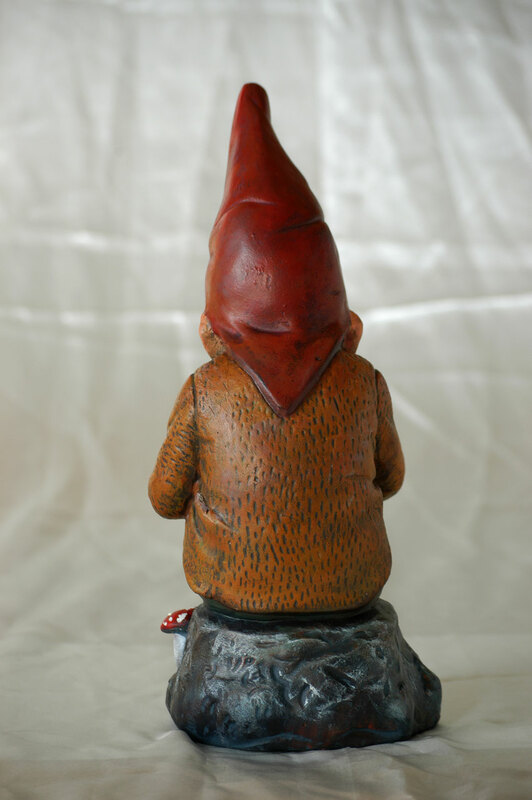 Heissner poduced several different versions of this gnome. 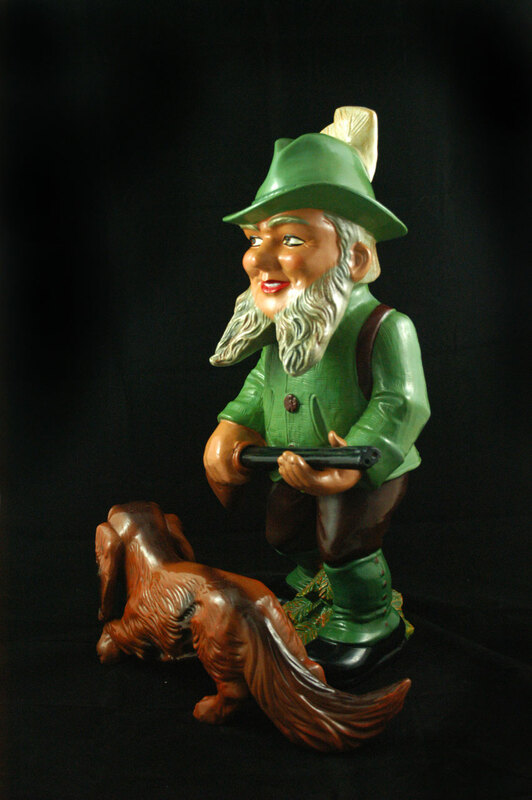 This one is pretty large and pretty rare. 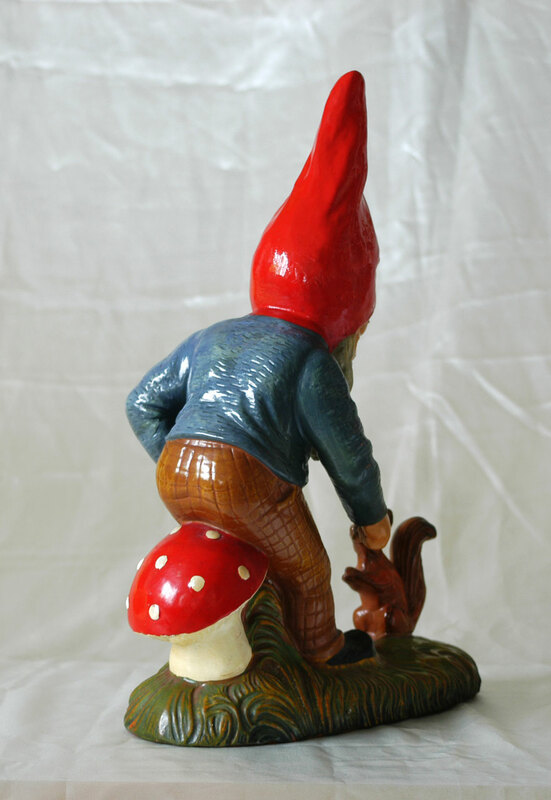 This Original is in collectors quality. 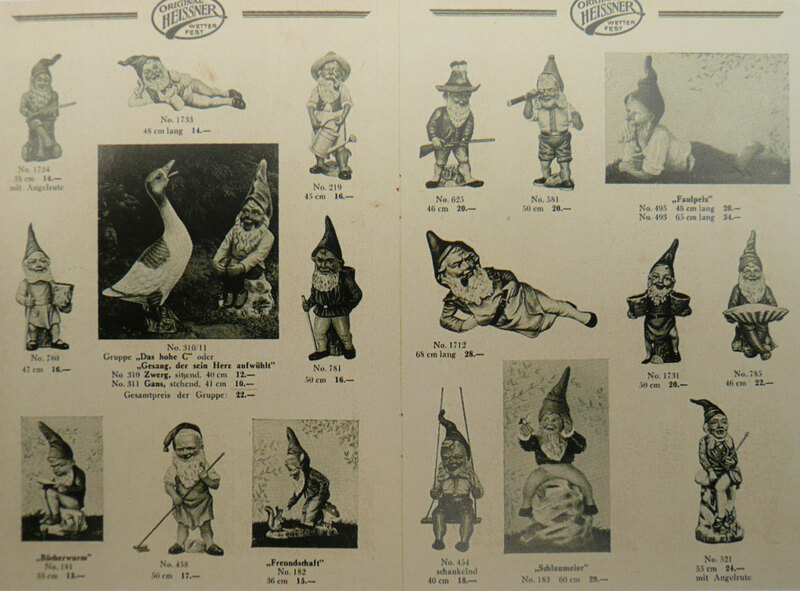 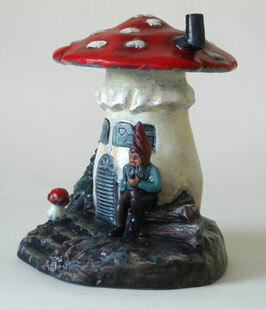 marked at the bottom "1942"
This small gnome is a classic Heissner gome too. 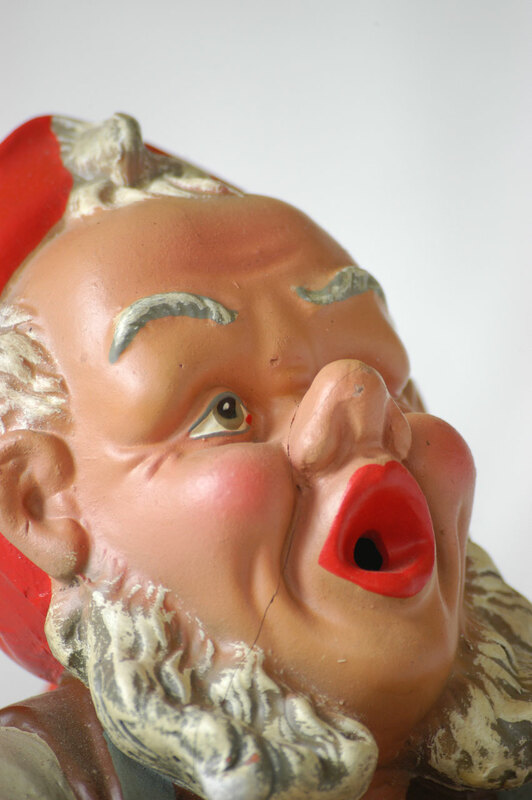 We have some more figures with this face. 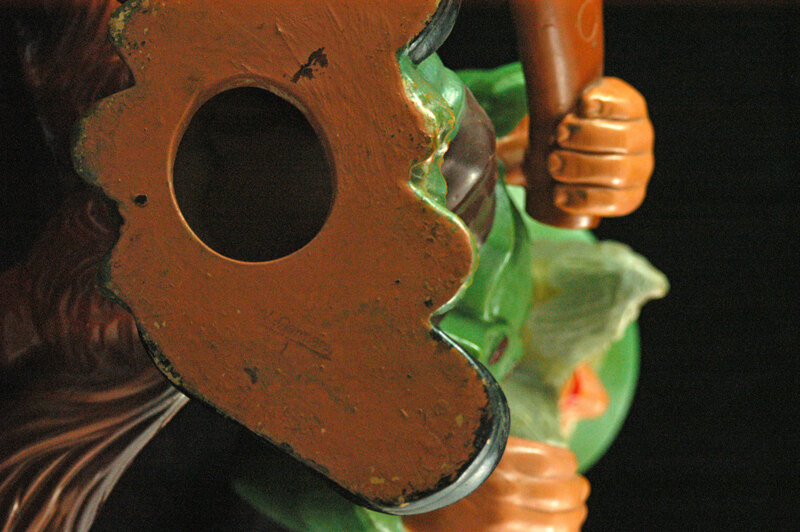 The gnome is in a good used condition, that I decided not to restore this chap. 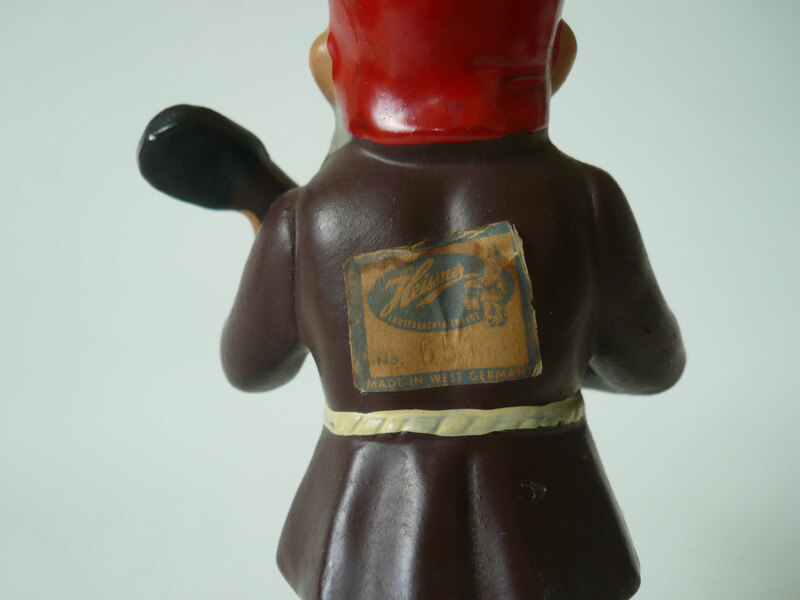 Can be restored if wanted. 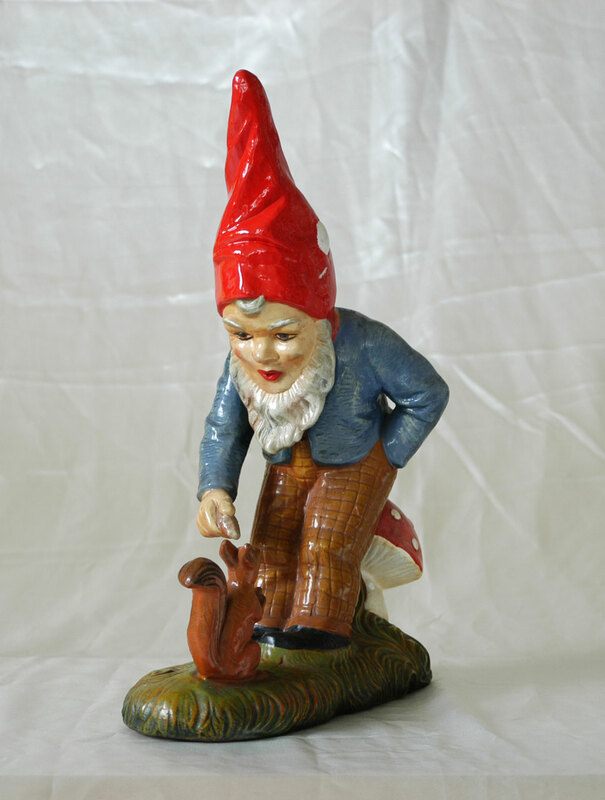 This gnome is in a good original condition. 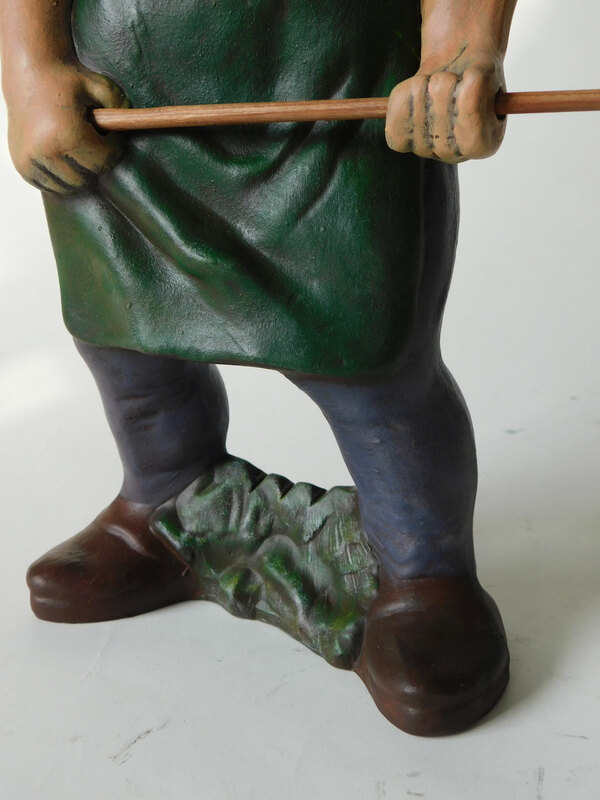 We just cleaned the chap. 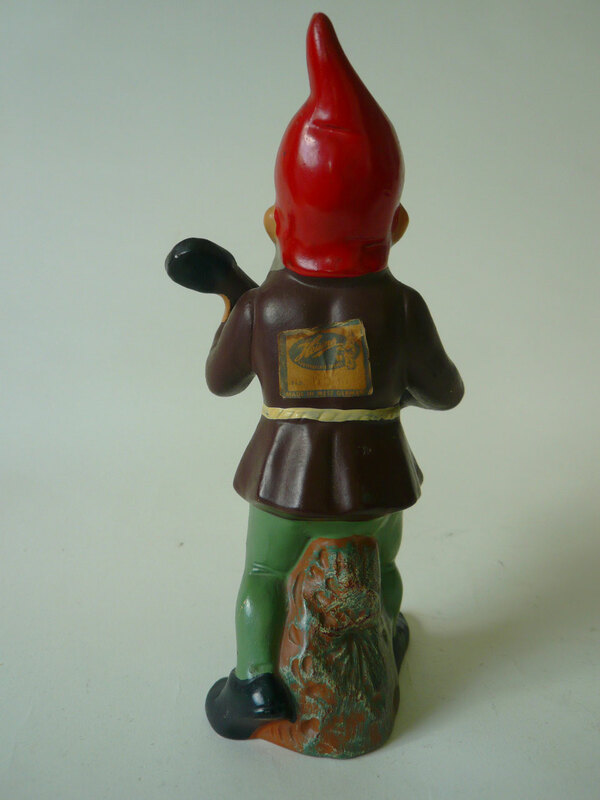 Marked with an original paper Heissner sticker. 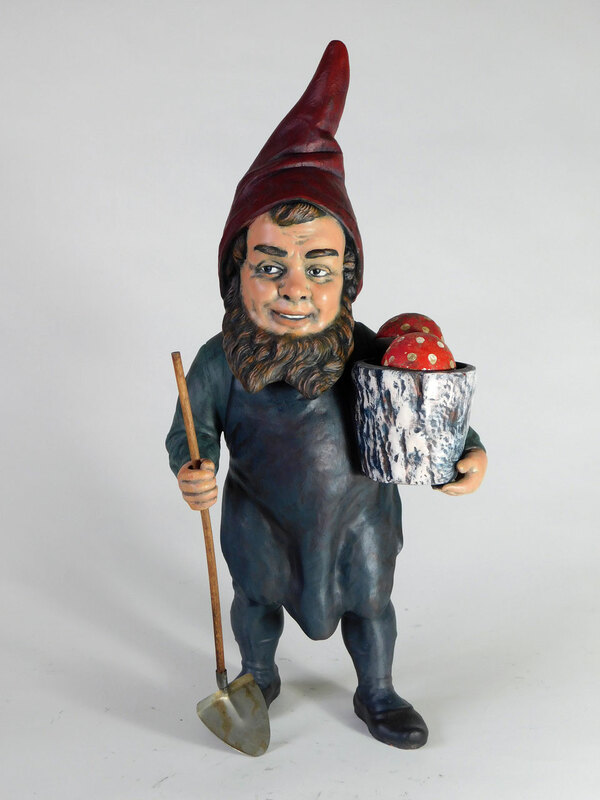 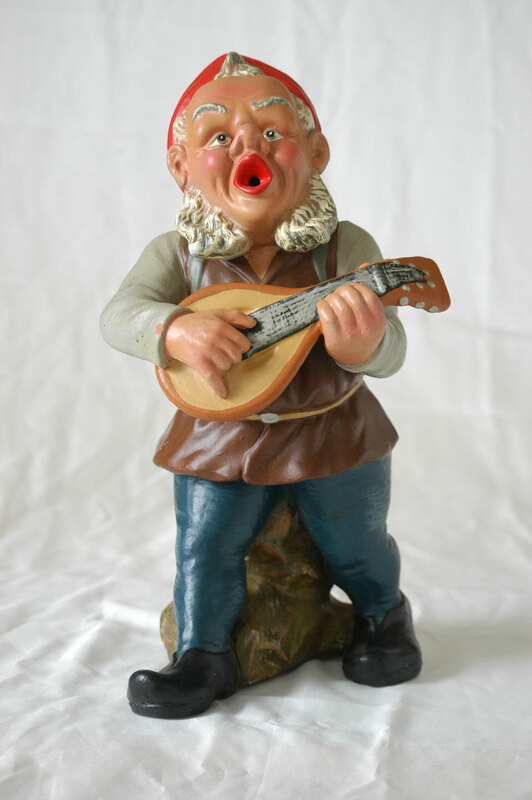 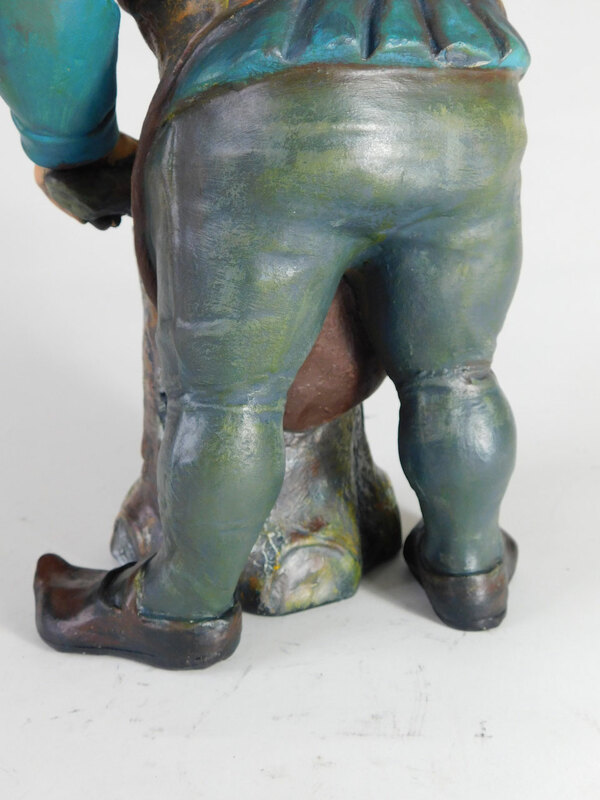 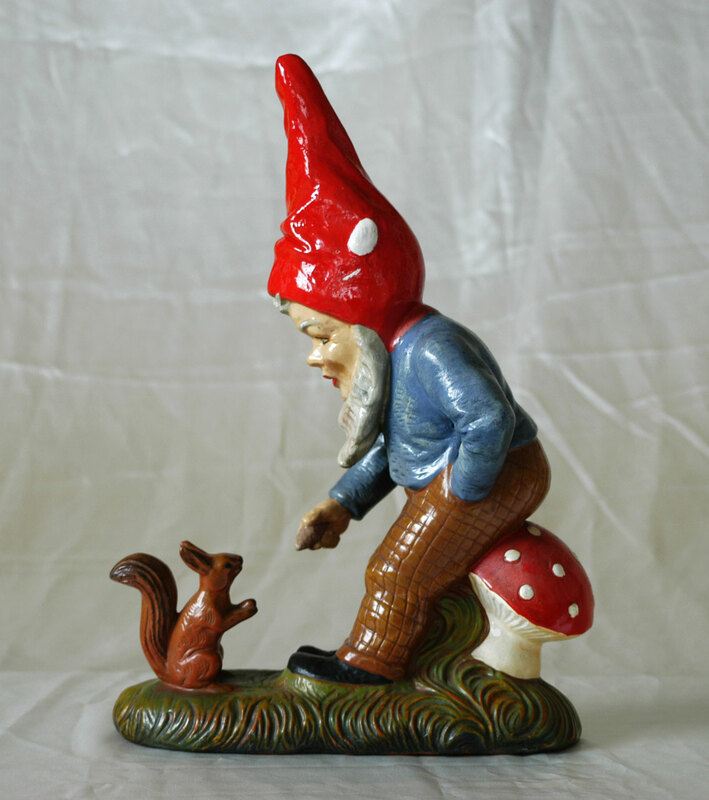 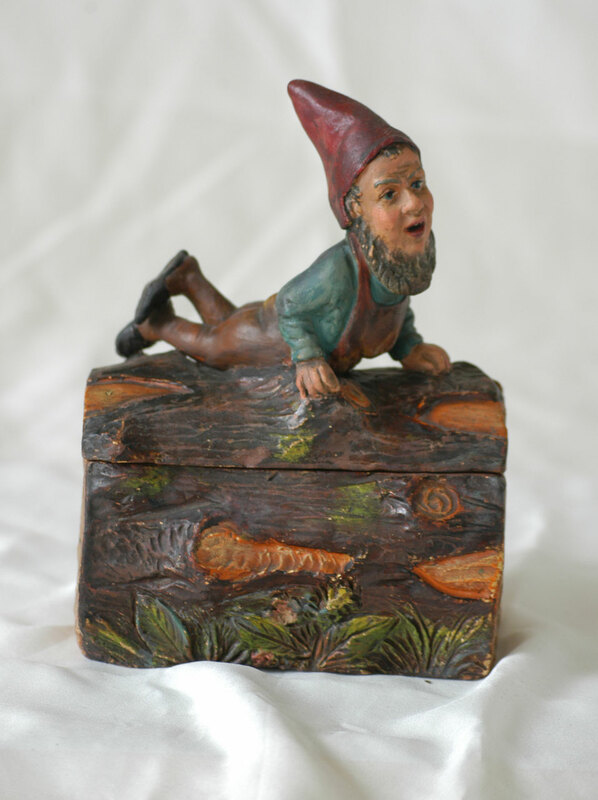 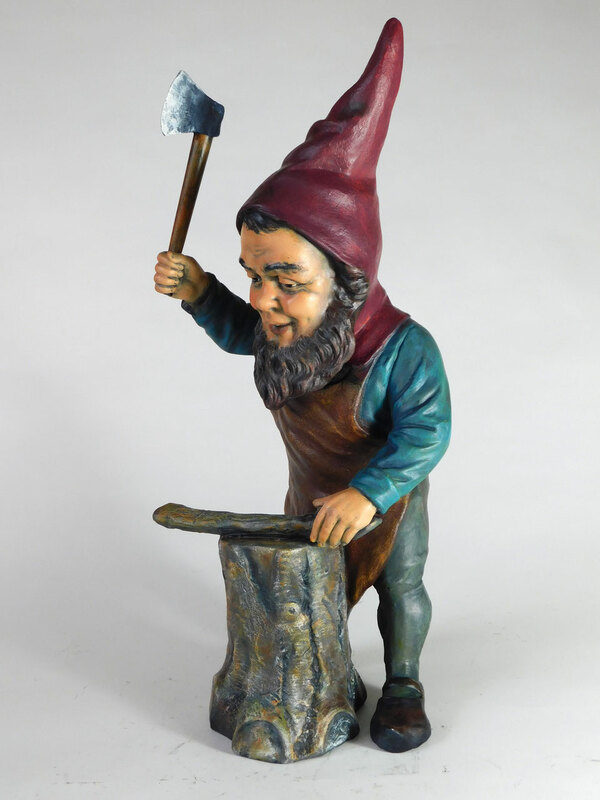 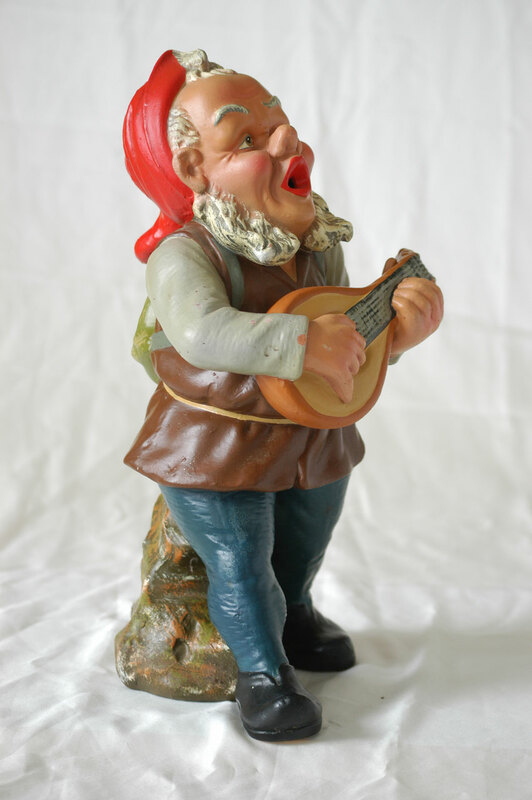 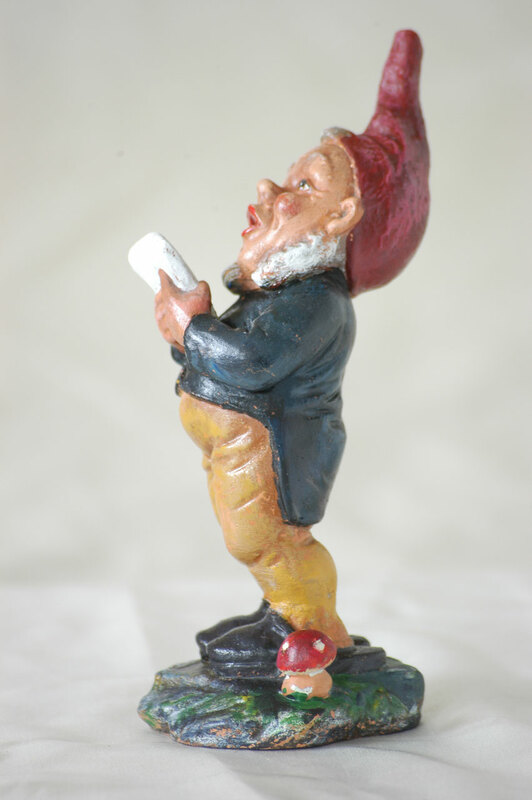 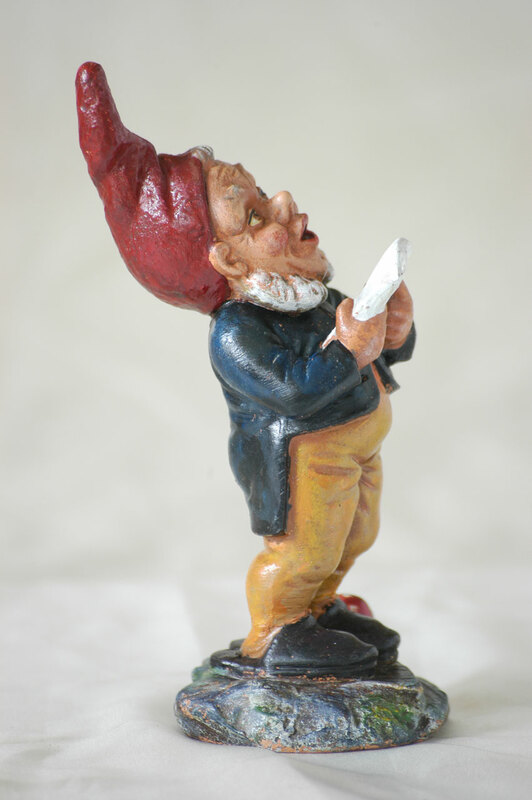 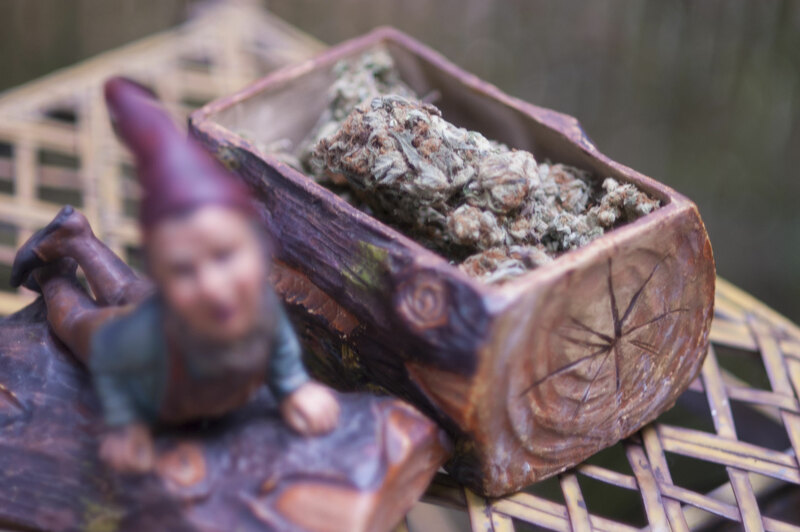 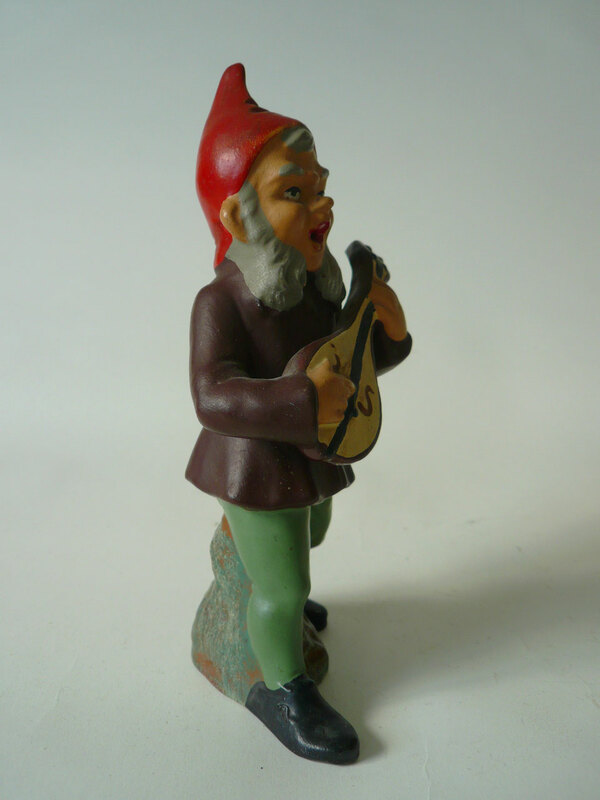 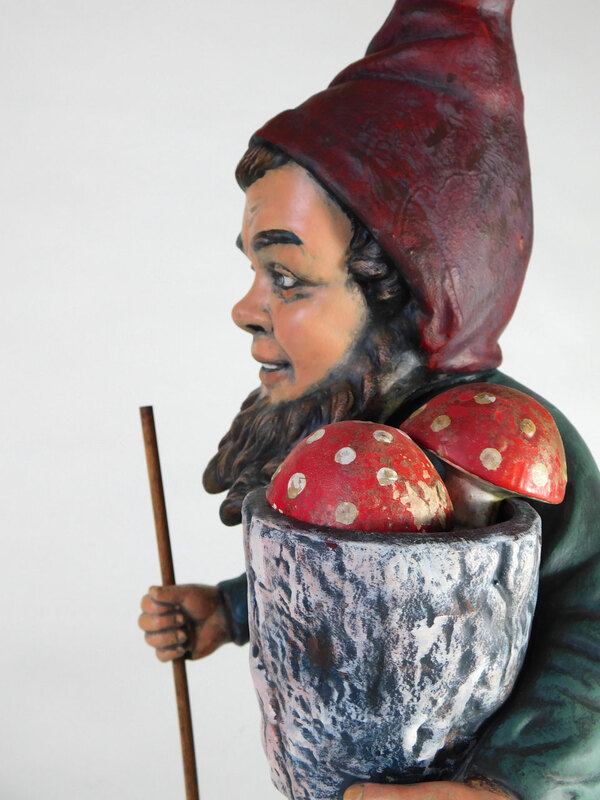 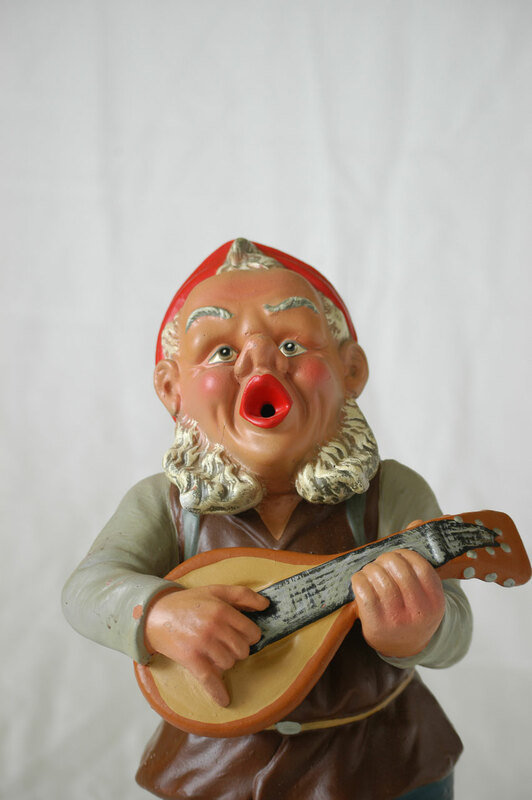 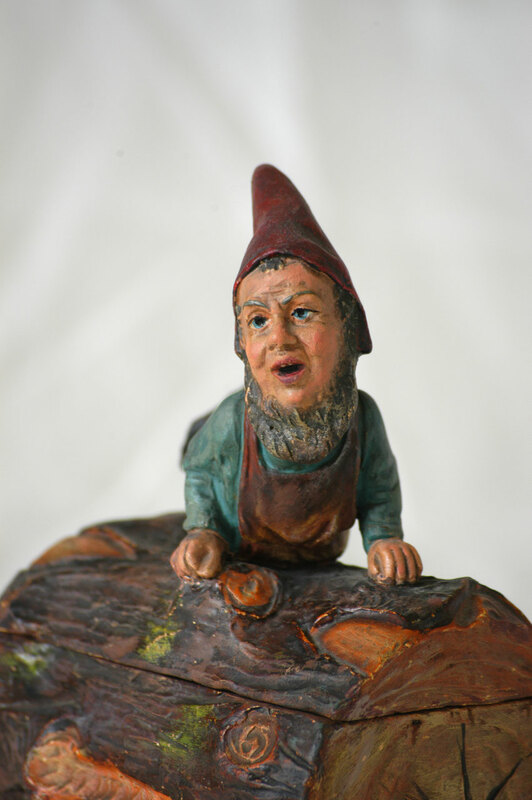 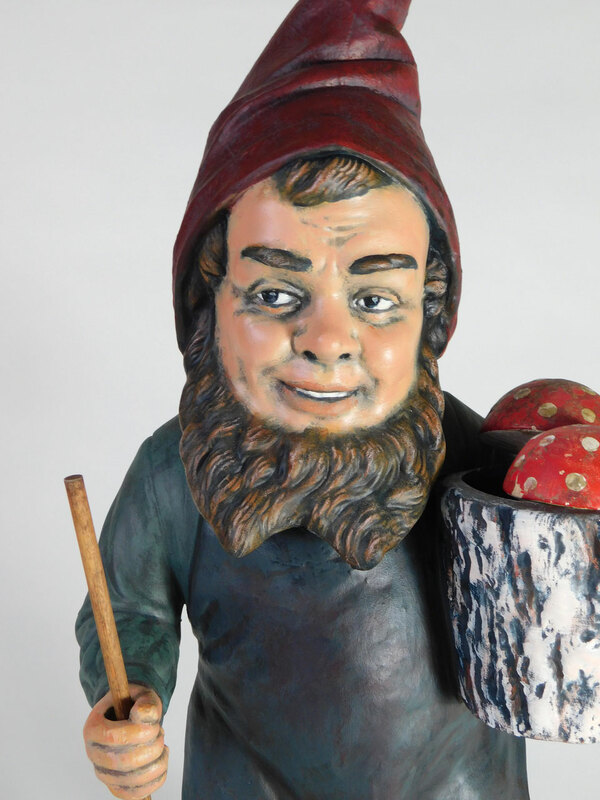 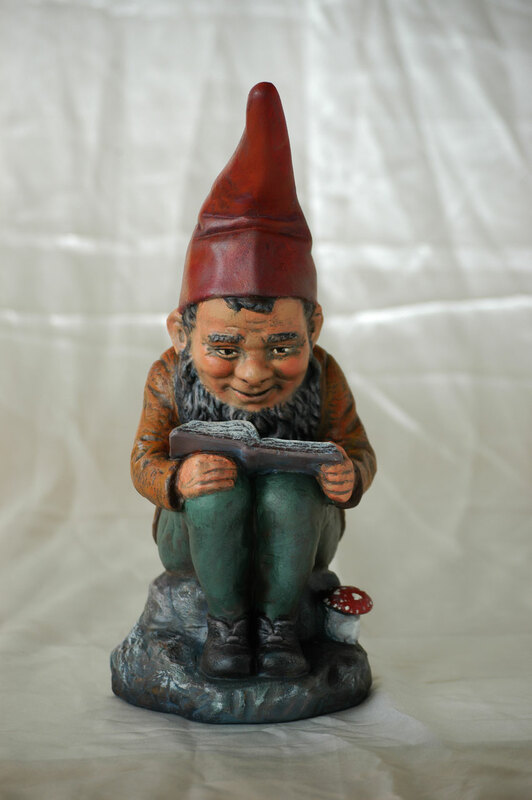 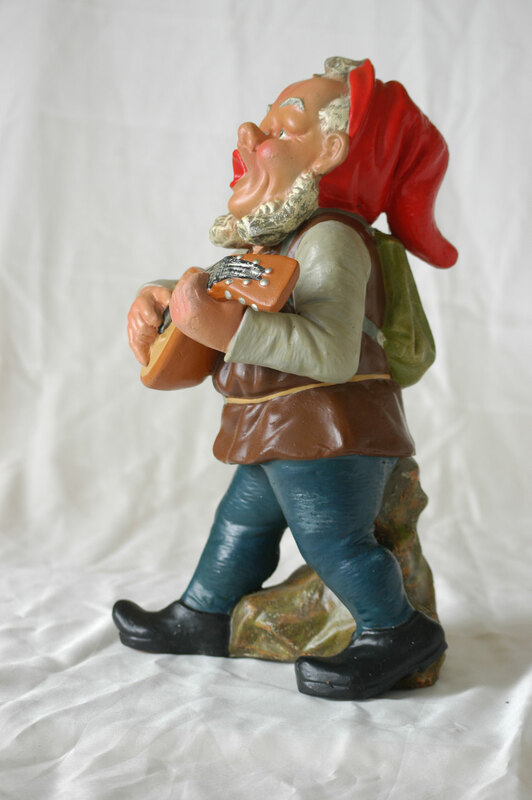 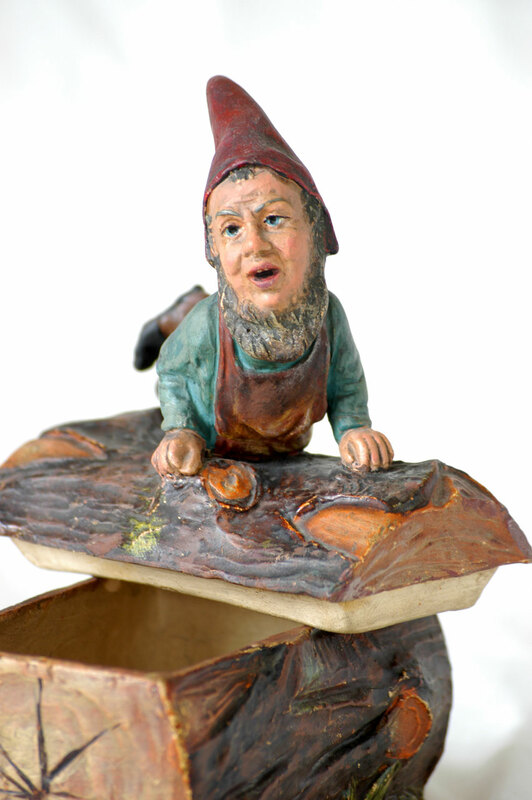 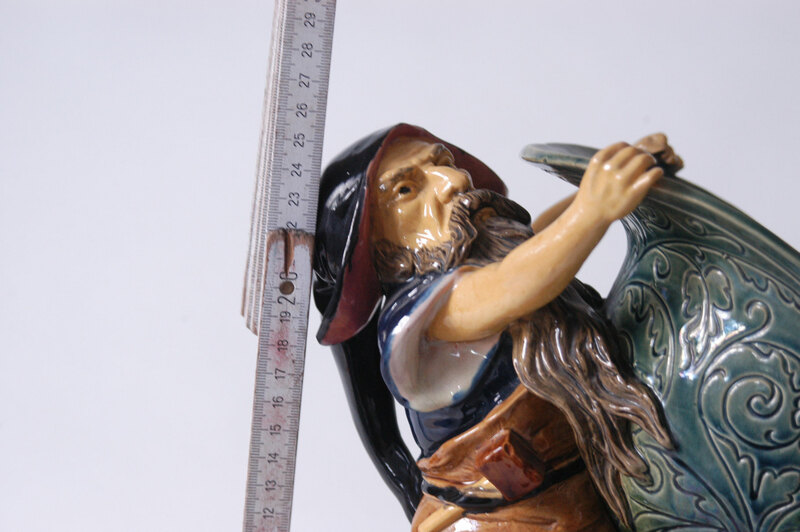 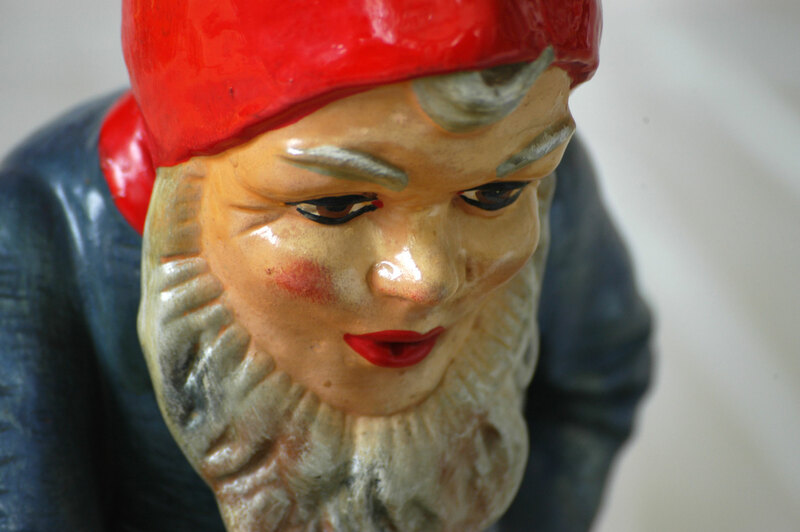 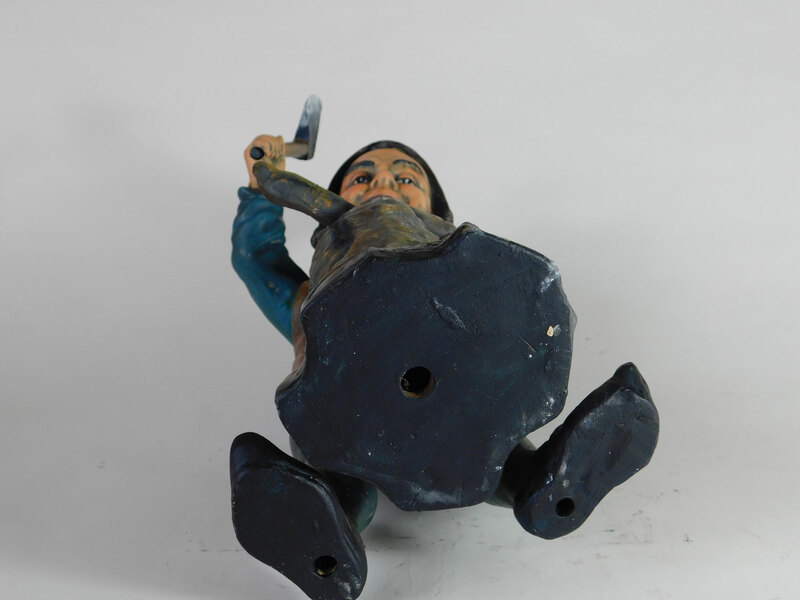 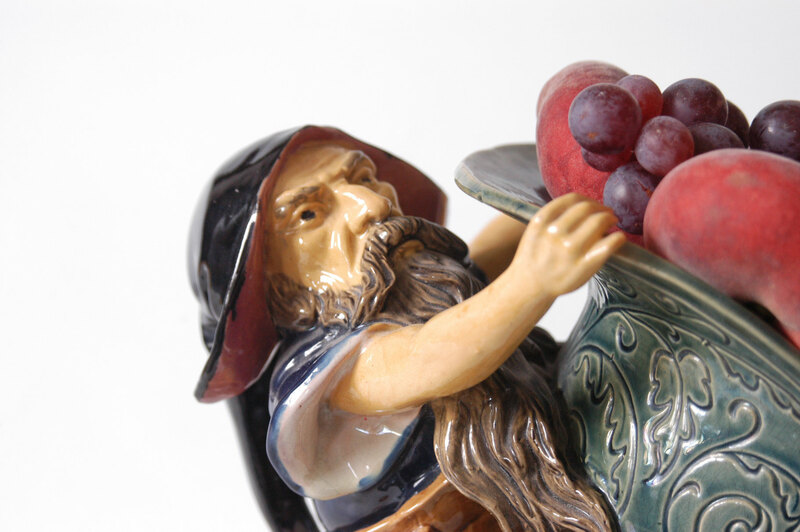 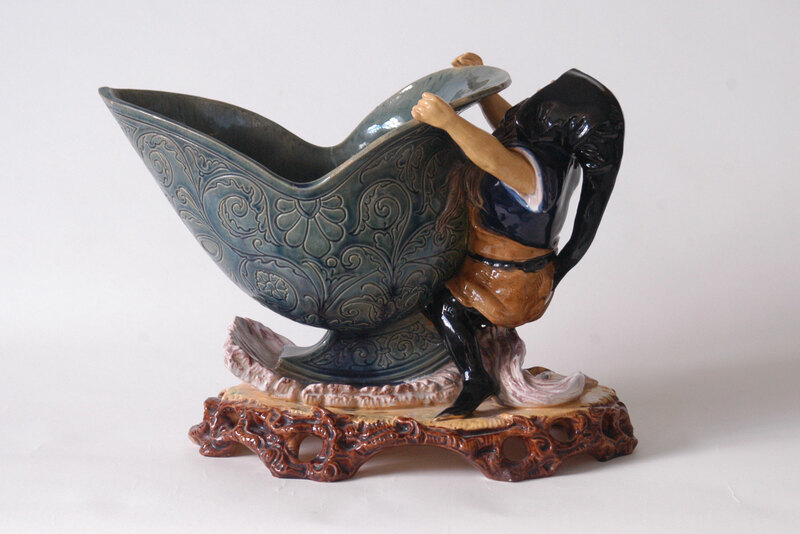 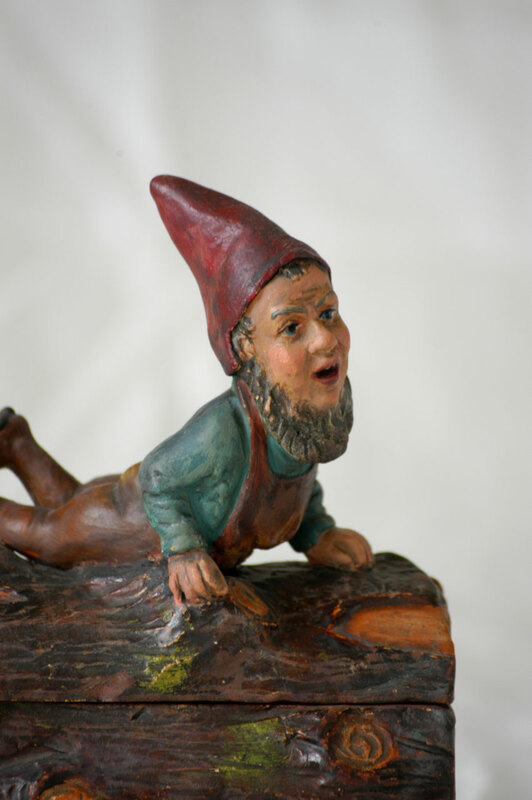 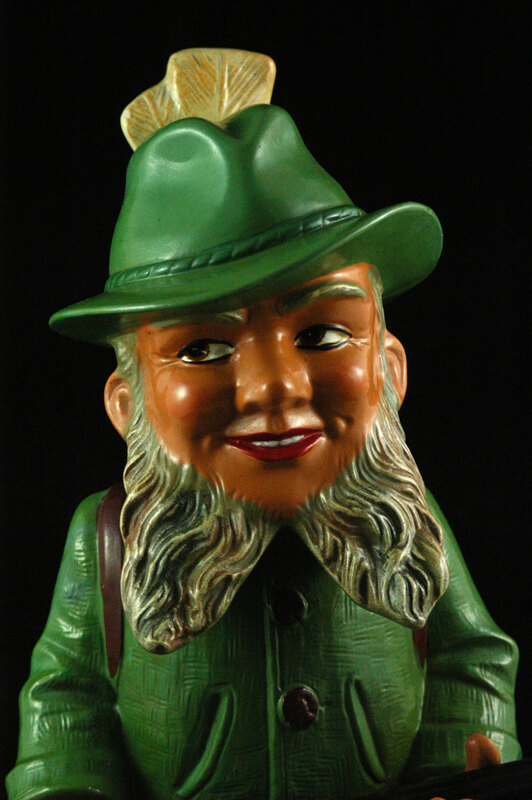 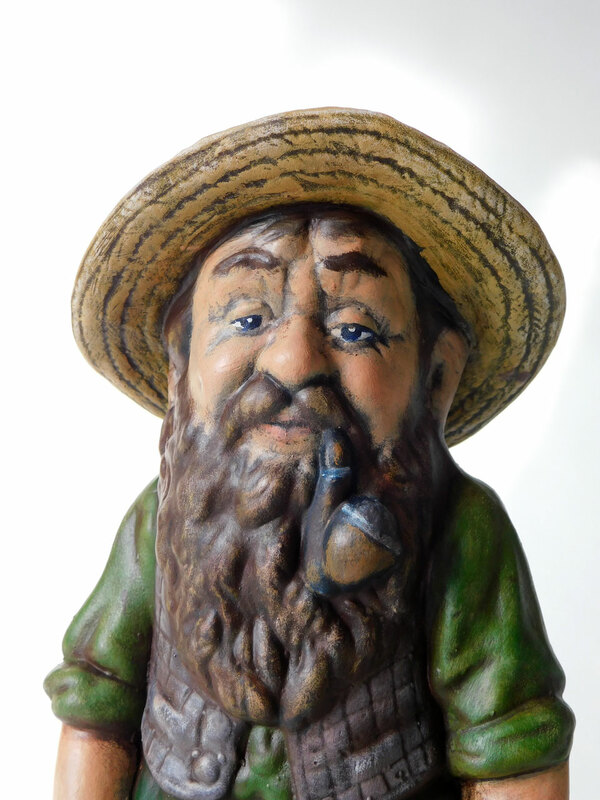 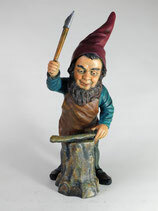 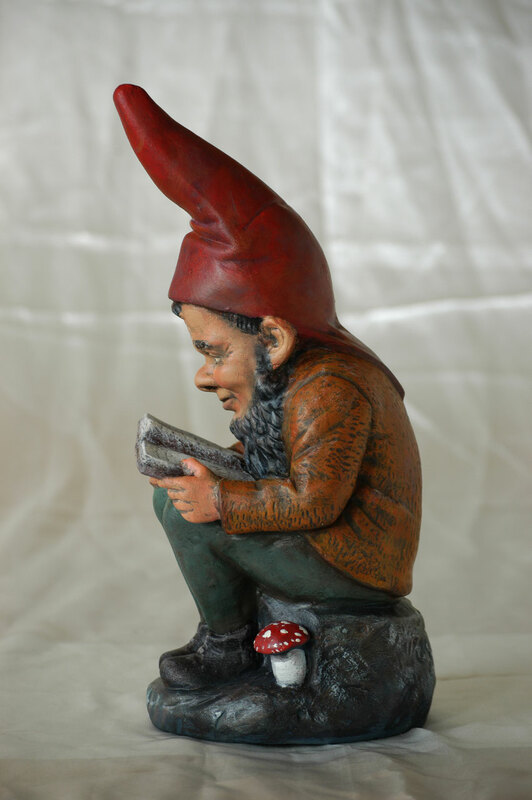 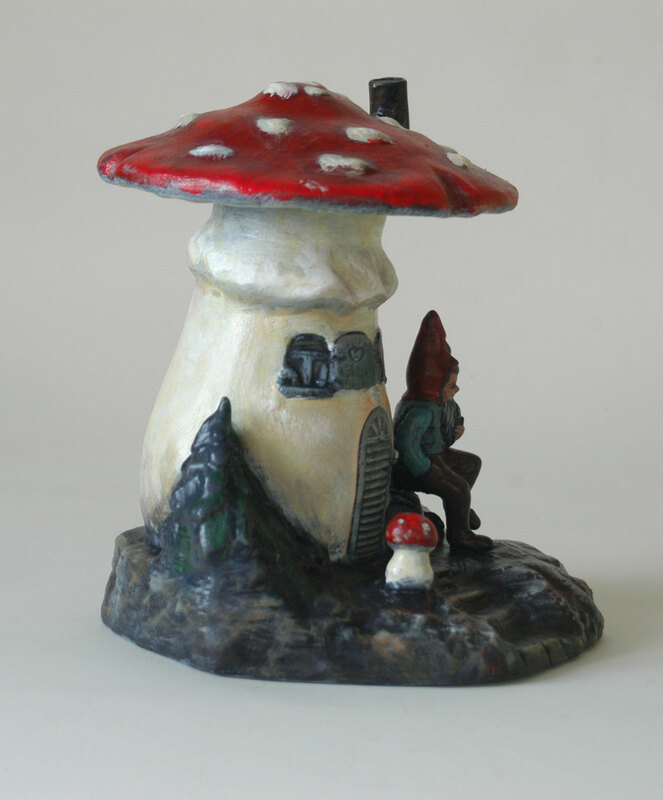 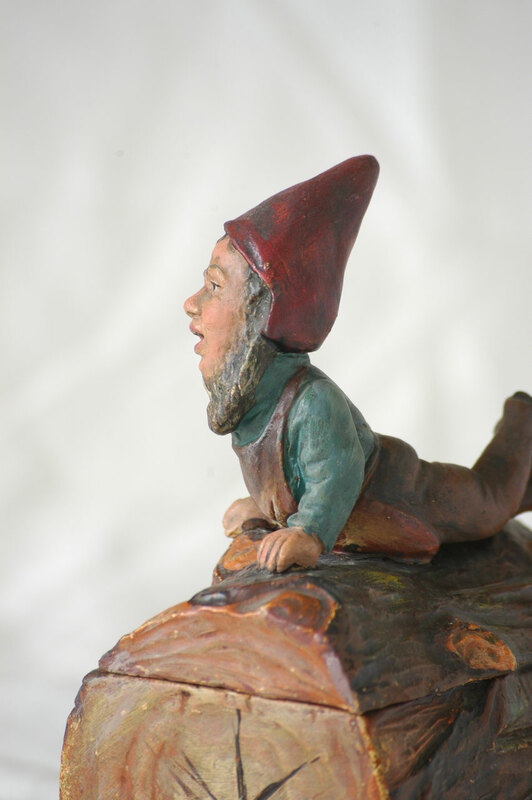 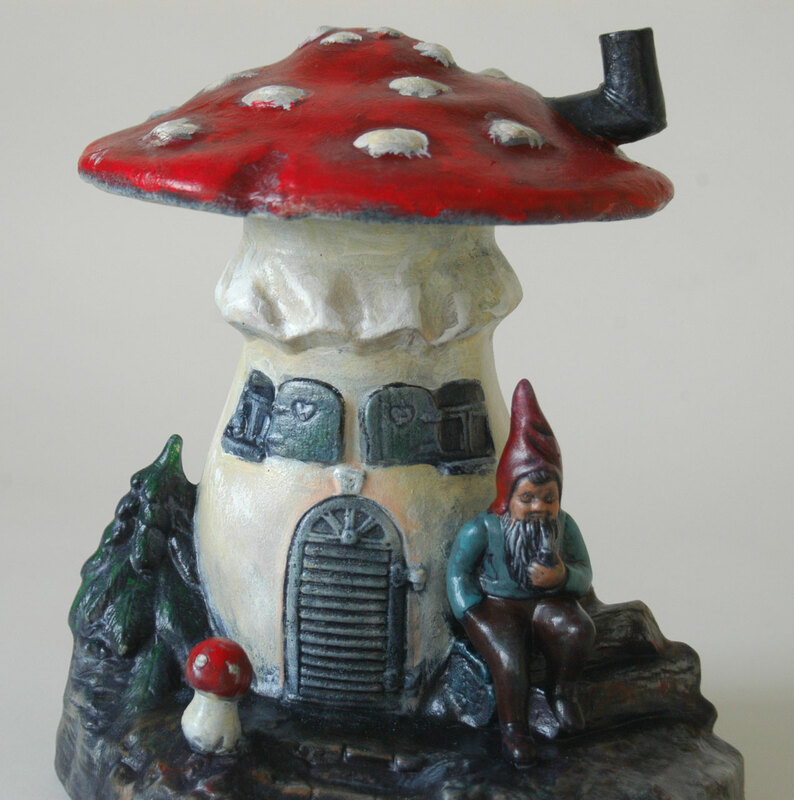 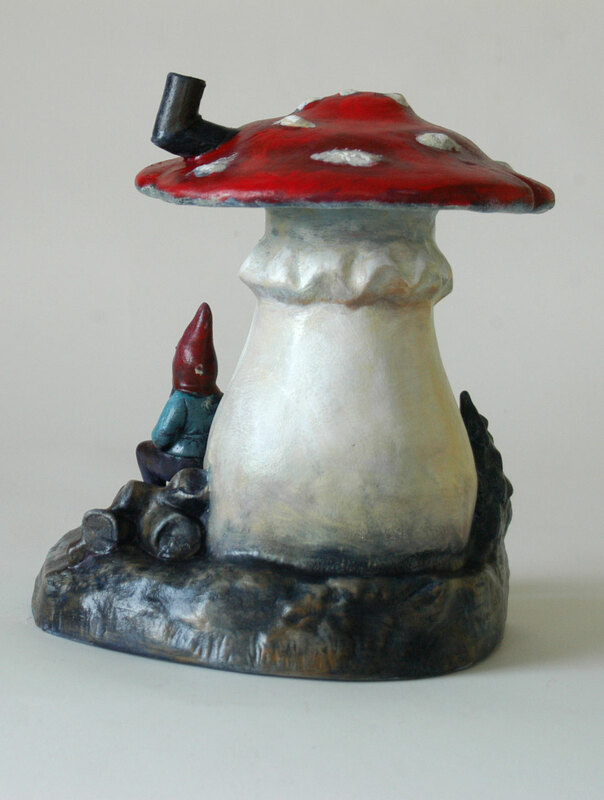 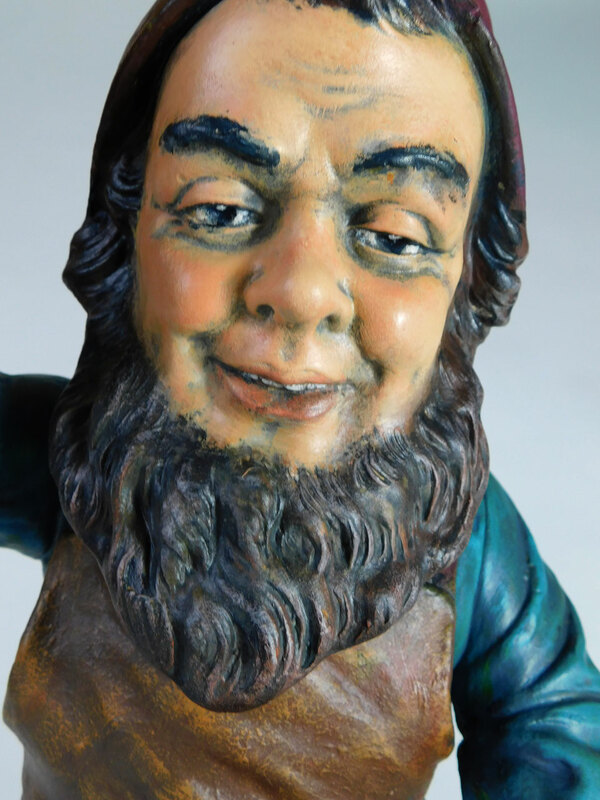 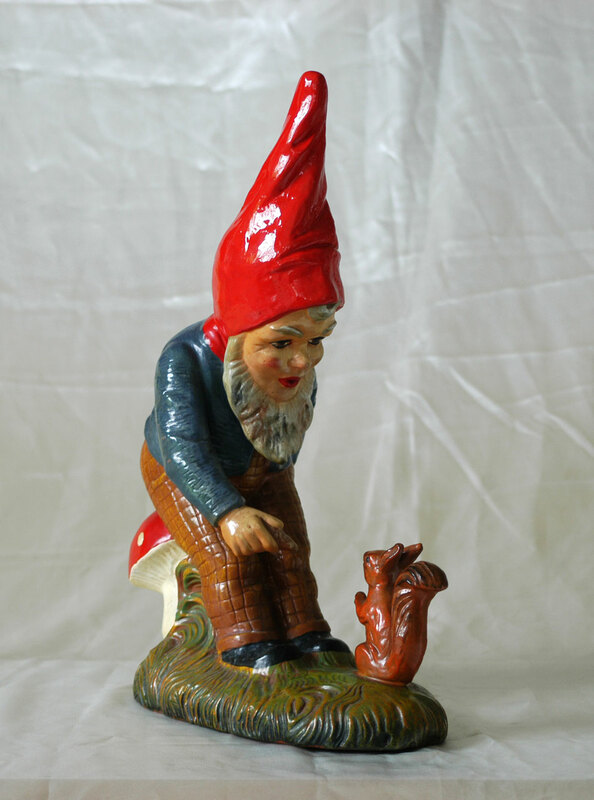 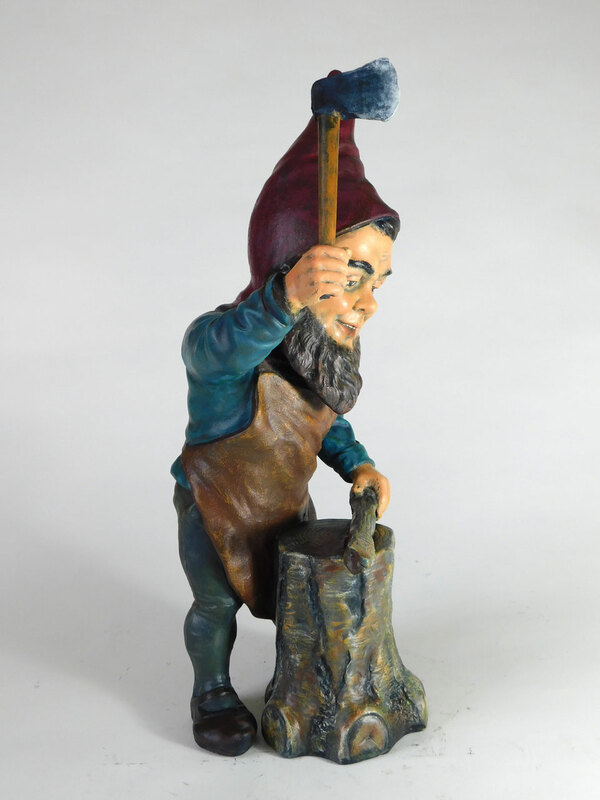 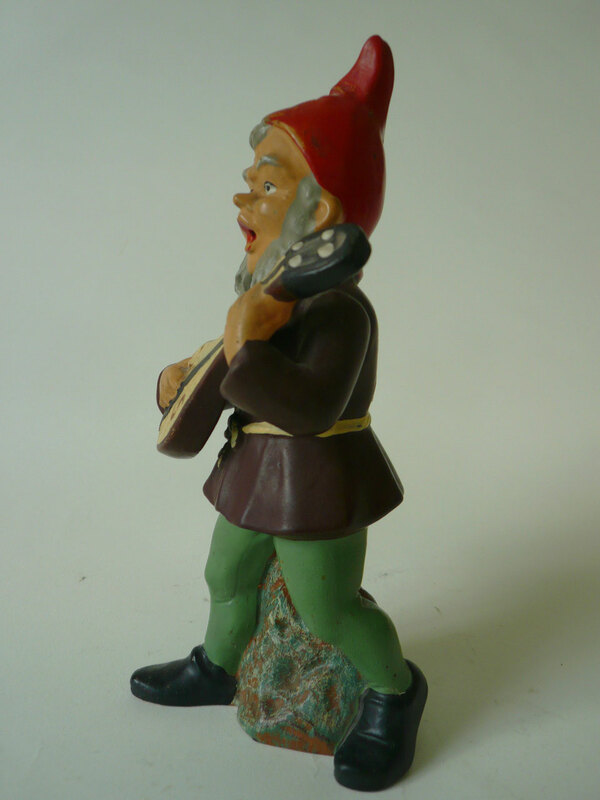 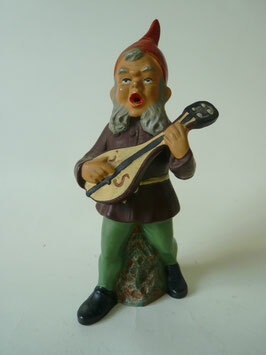 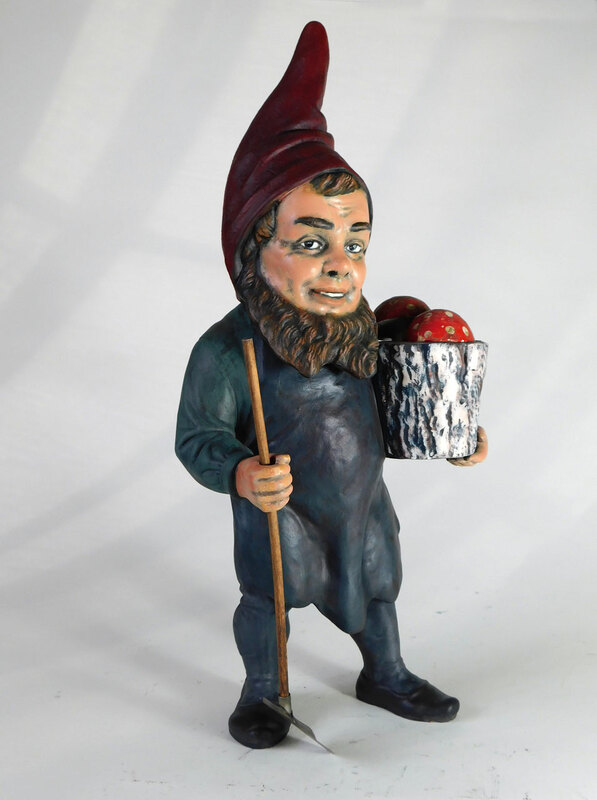 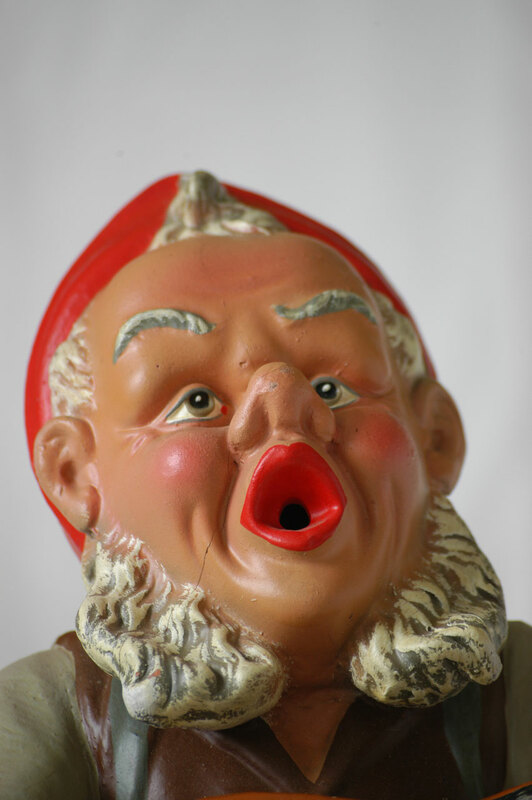 This extremly rare Gnome is a very professional and fine fayance ceramic from an unknown Bohemian artist. 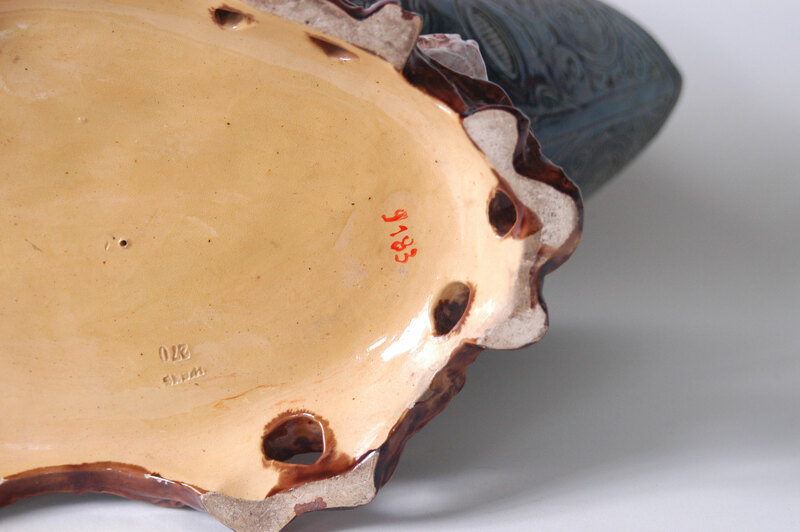 It is marked ( see photos). 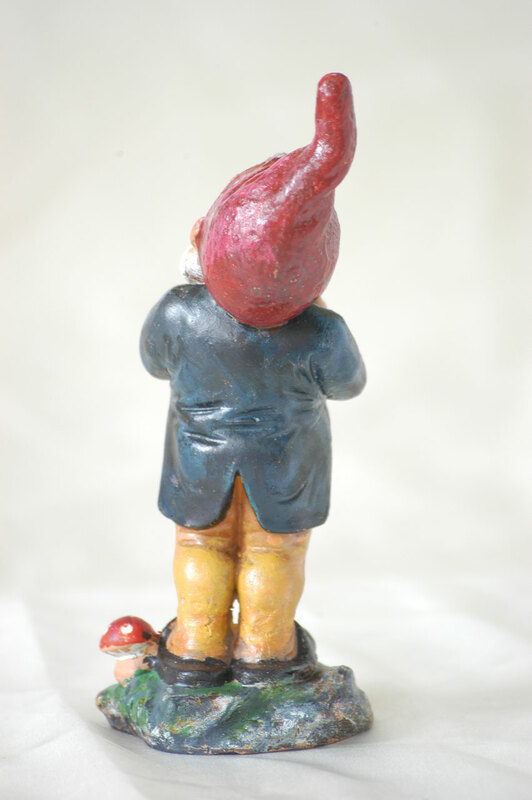 The figure is one of the highlights of our large collection. 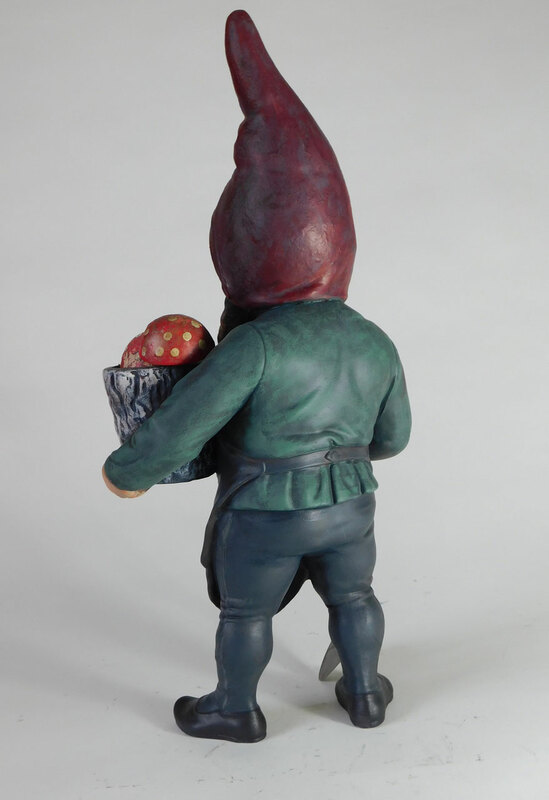 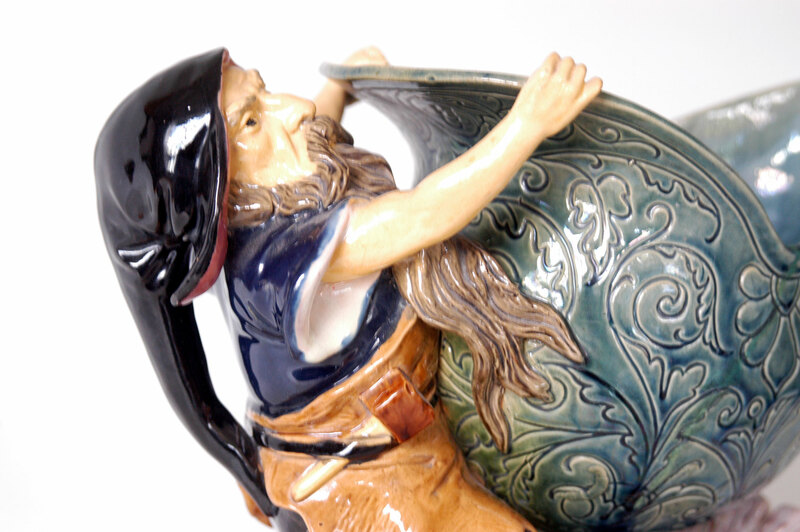 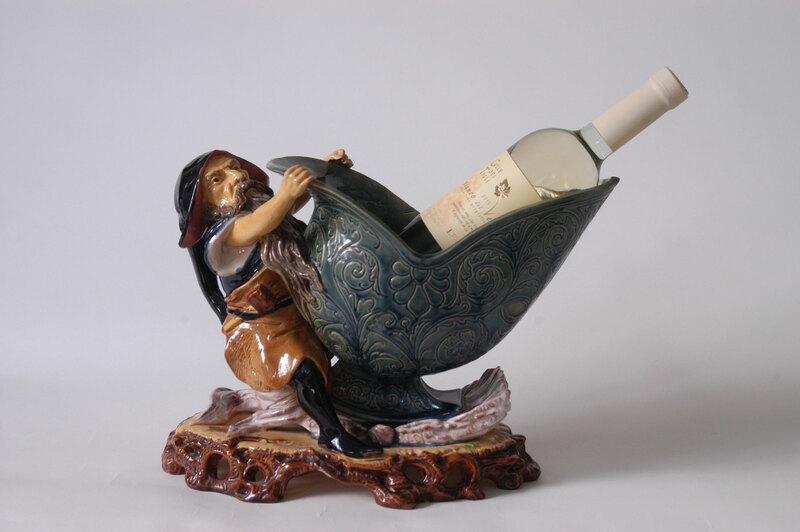 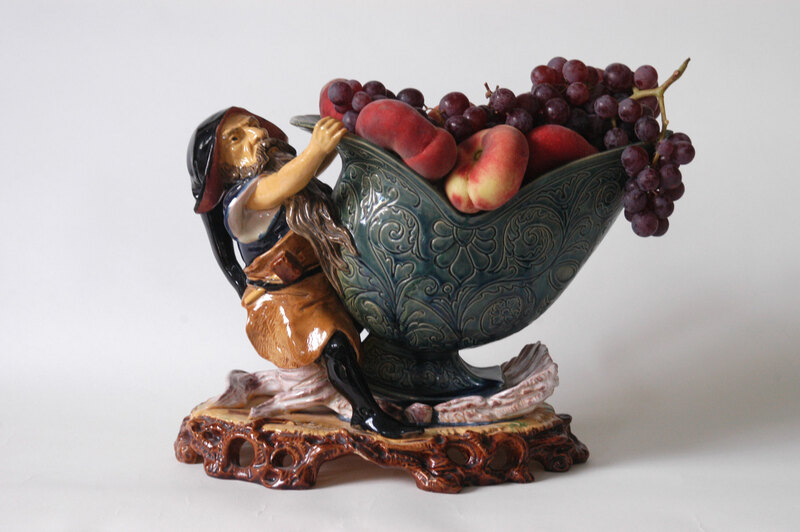 The gnome has a nibelung helmet in his hands, which may be used for plants, fruit, candy or as a wine cooler. 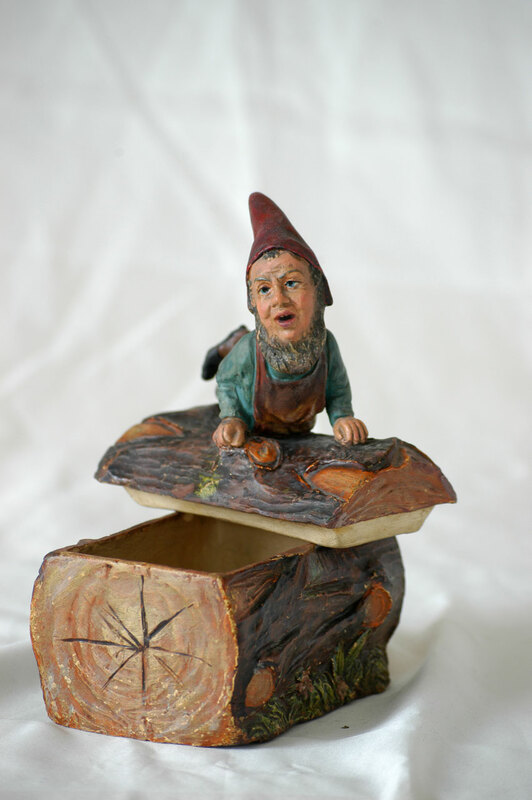 H 7.9" / L 5.5" / W 4.0"
This charming humidor / tobaccobox is marked. 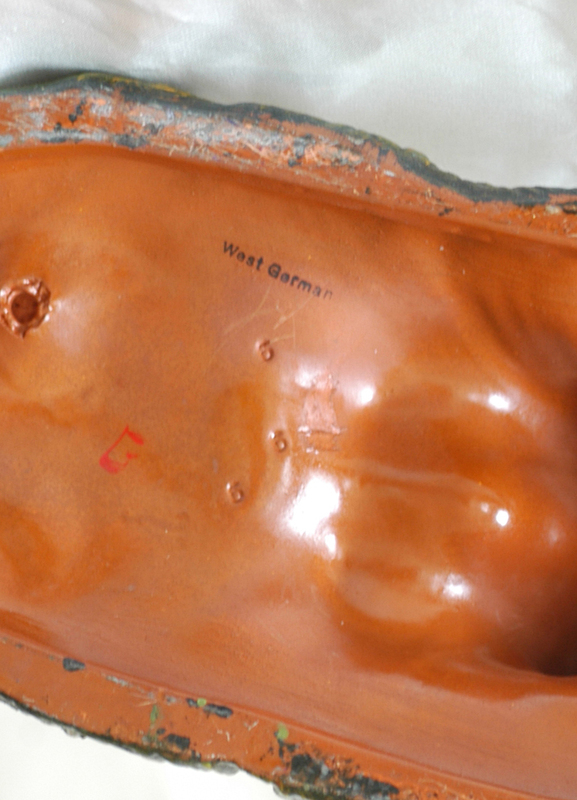 At the bottom the mark is "1650" and the cover is "23". 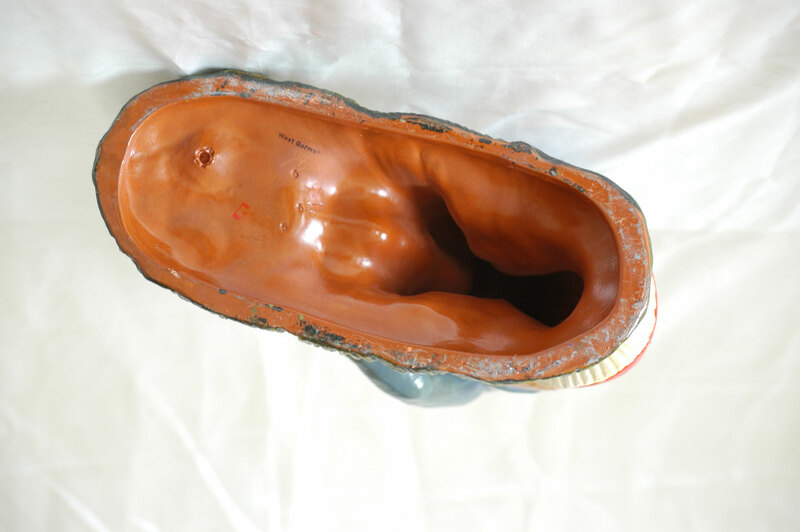 The condition is excellent and original.